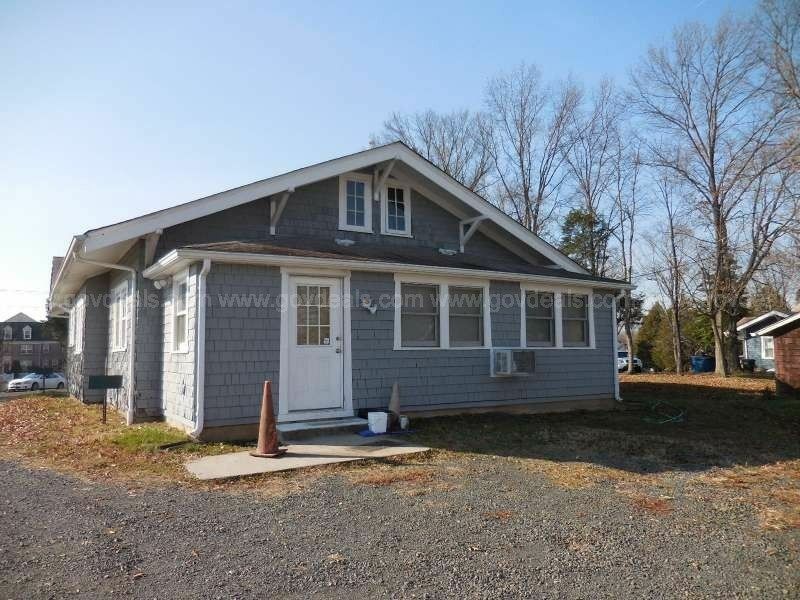 Several folks sent me a link about a kit house in northern Virginia that is being offered for sale with one very substantial condition: It has to be moved from its existing location. Color me jaded, but in the last 15 years, I’ve seen this happen time and time and time again. 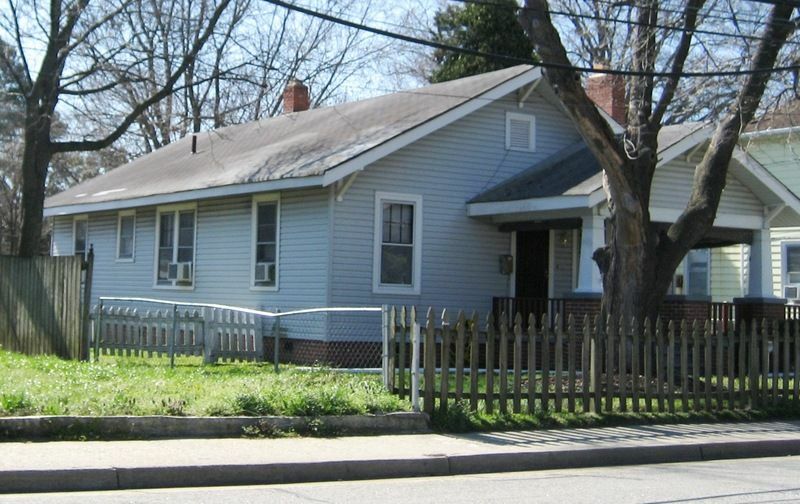 Something (a college, government agency or corporation) wants to expand beyond its current borders, but an old house is blocking “progress” (a word I’ve come to hate), so to appease the crazy local historians, the bungalow-eating entity offers to “sell” the house in question. But alas! No one comes forward and offers to buy the old house, so the onus is no longer on the bungalow-eating entity (hereafter called “BEE”); rather it’s the “lack of interested buyers” that have killed the home’s second chance at life. It’s a win-win for the BEE, and a lose-lose for anyone who loves history and/or old houses and/or reducing waste at landfills and/or anyone who abhors waste. Generalizations are only generally true, but generally speaking, moving a bungalow from Point A to Point B in a metro area is going to cost $75,000 - $100,000 and sometimes more. There are many other hassles and headaches involved in modern-day house moving. Let’s just say that it’s not something the average Joe has the financial resources and/or experience and/or ability to undertake. 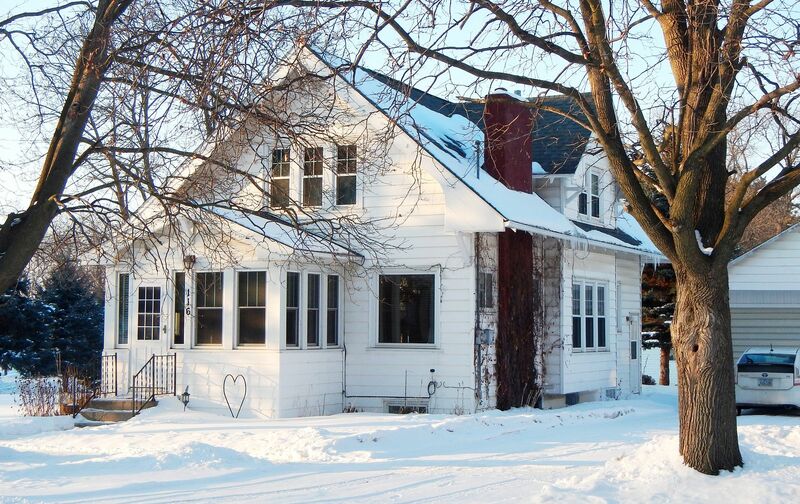 Nonetheless, I’ll try to be hopeful during this holiday season that this house will prove to be the exception. We’ll know - by April 2016 - how this plays out. Here’s the blurb from the site. Historic Lewis House - Haymarket, Virginia The Town of Haymarket, Virginia is selling a historic house manufactured by Lewis Manufacturing of Bay City, Michigan, transported as a kit home by rail in about 1926 and erected at 14710 Washington Street, Haymarket Virginia. 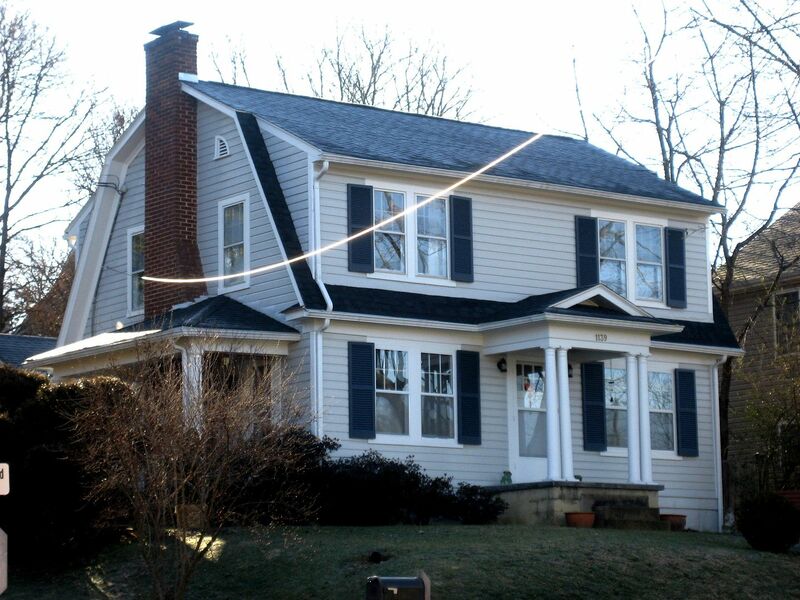 The identification of the house as a Lewis Manufacturing product is based on site findings such as the eaves bracket type, window and door trim taper treatments, pillar design and handwritten numbers in grease pencil in the attic. 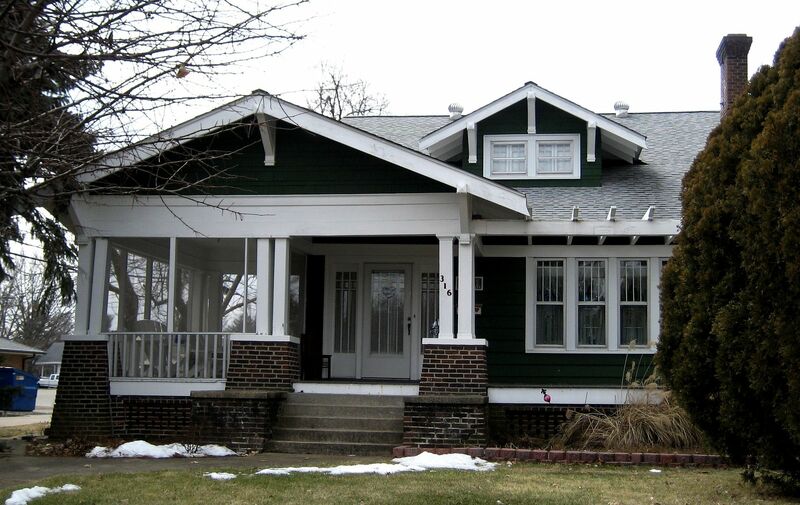 This house is the La Vitello model Craftsman-style bungalow. 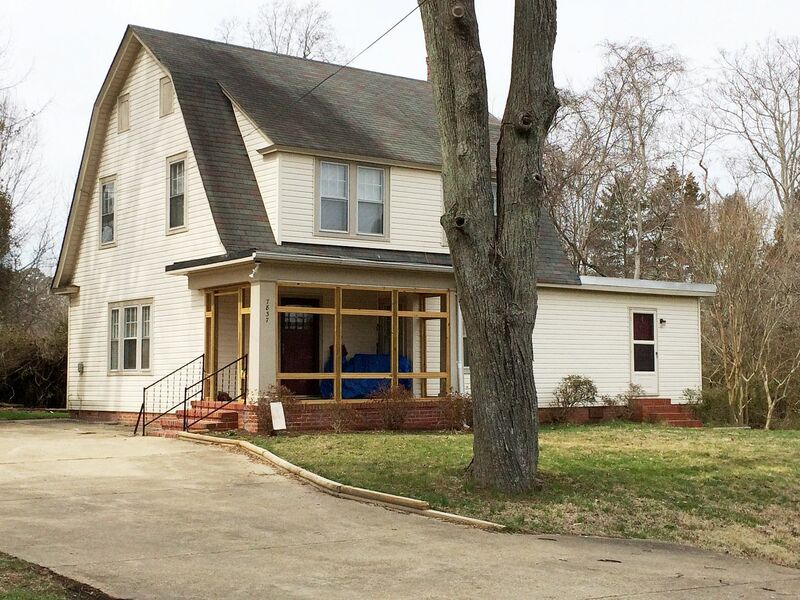 The Town of Haymarket, Virginia is accepting offers on the house in an effort to preserve it by having it relocated off site. 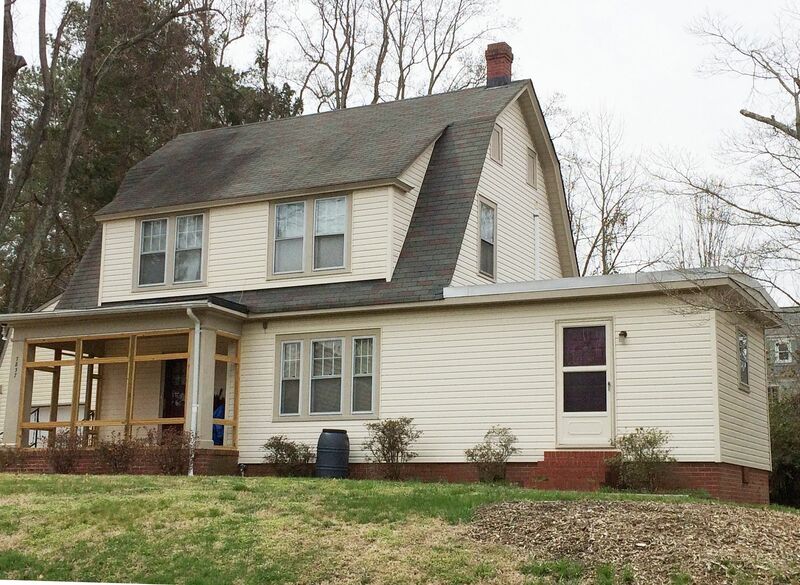 All offers must be submitted to the Town Manager at 15000 Washington Street, Haymarket, Virginia 20169. Offers should include the purchase price and plan for relocation off site. The house must be moved by the end of April, 2016. 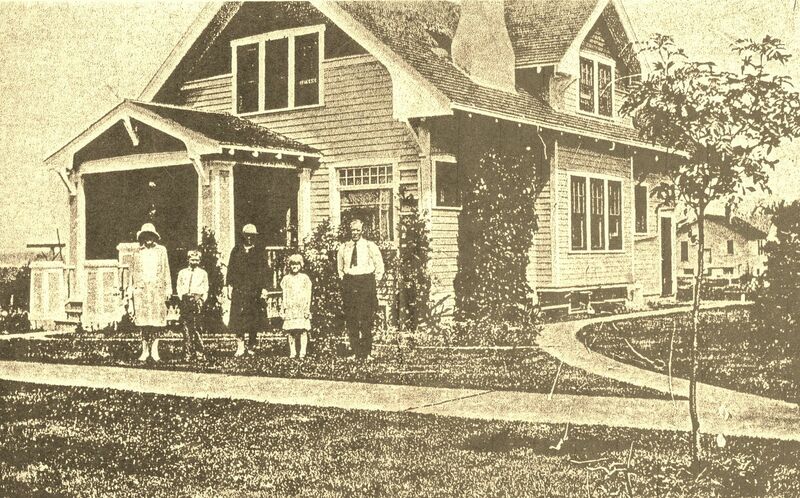 To read more about how homes were moved 100+ years ago, click here. 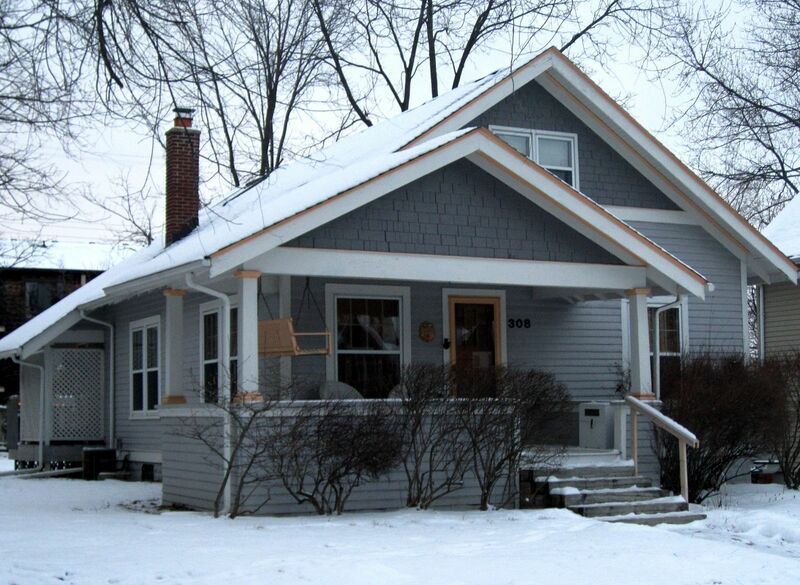 One more reason old houses should be preserved, not destroyed: The quality of lumber. 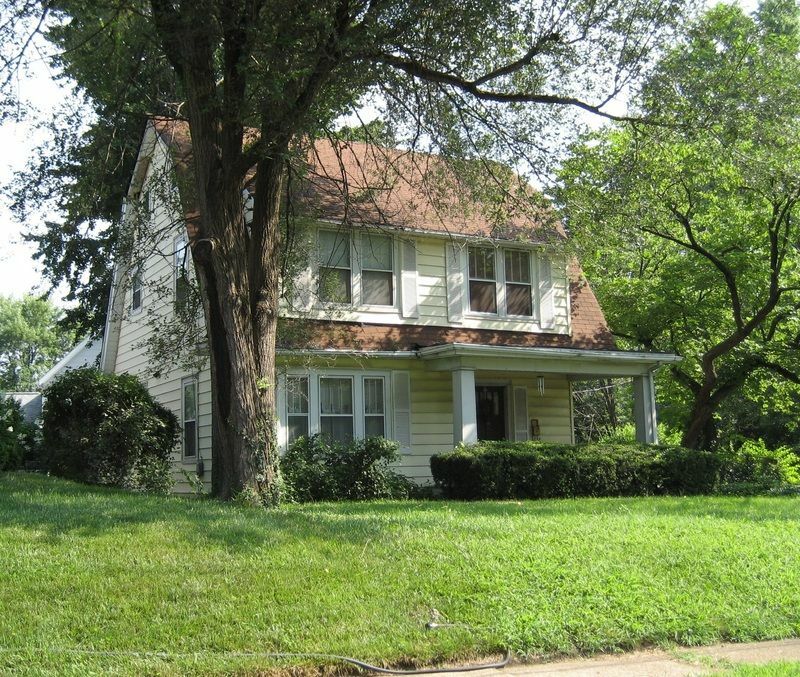 The house being offered for sale in northern Virginia is the Lewis La Vitello (1924). Lewis was a kit home company based in Bay City, Michigan (as was Aladdin). 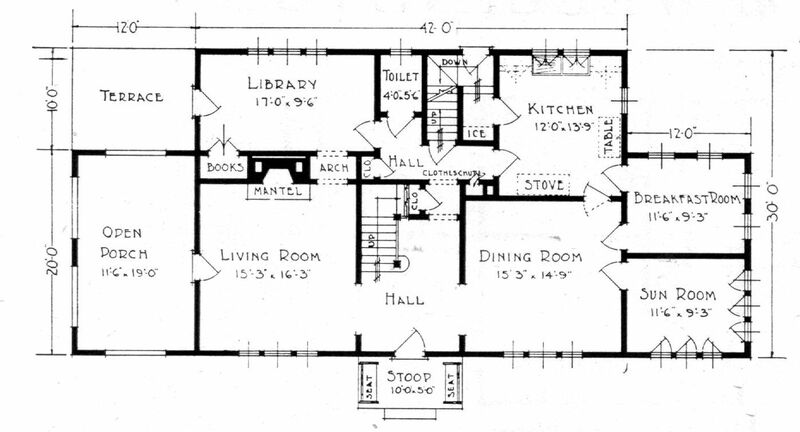 Nice floor plan, but the house in Haymarket, Virginia has had a massive addition globbed onto the side. That's a busy little hallway behind the dining room. And that "breakfast room" is quite massive! Maybe if it gets moved, they'll leave this unappealingappendage behind. It looks a lot better from the front. That decking is unfortunate. The stonework is stunning. That will go bye-bye if the house is moved. It'll also go bye-bye if the house is destroyed. It's all such an egregious waste. As mentioned in a prior blog, about 40% of everything in our country's landfills is construction debris. The view down the side. 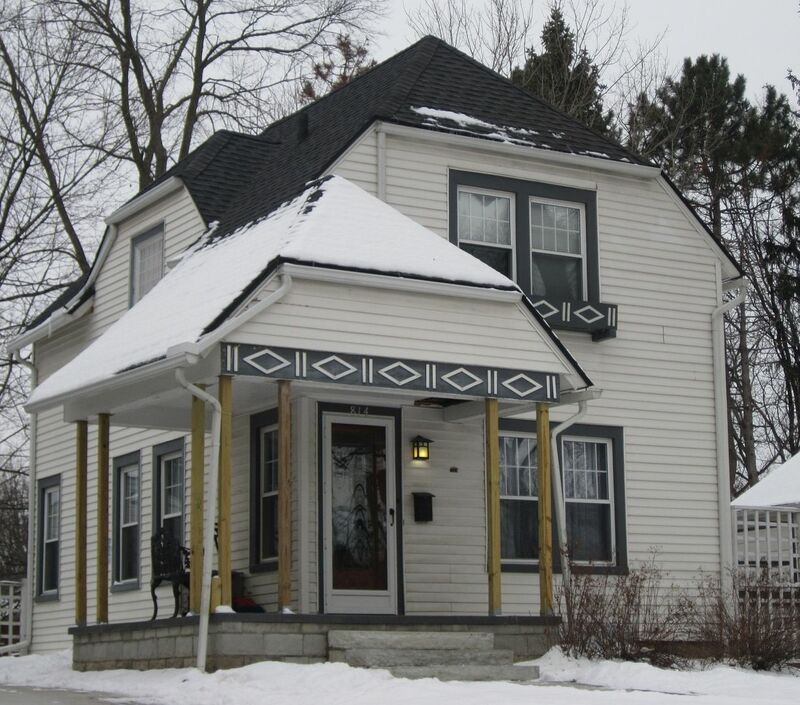 One of the lovely features of this old house is that it still has its original siding, and the eaves - those magnificent eaves - have not been chopped into bits and encased in aluminum. Those oversized eaves make me swoon. What a house. What a pity. 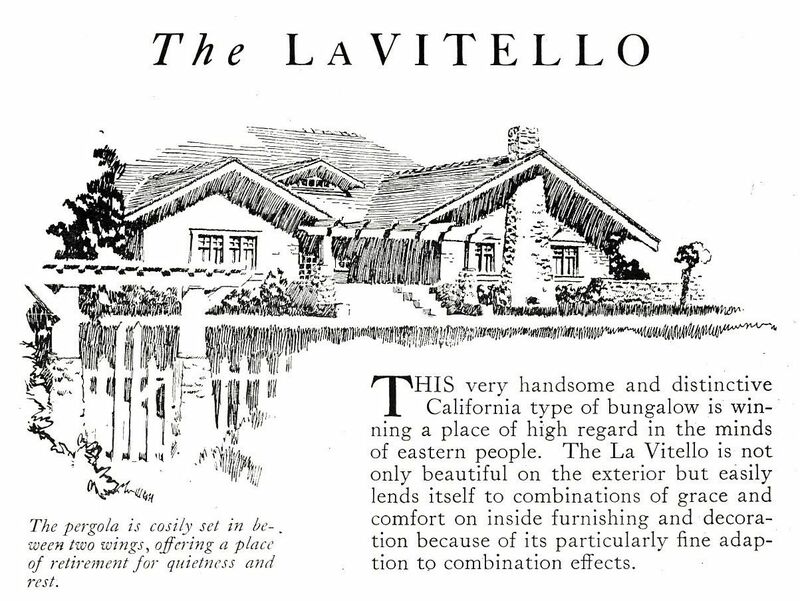 Another view of the La Vitello from the 1924 Lewis Homes catalog. Here's a La Vitello in Bowling Green, Ohio. Photo is copyright 2012 Dale P. Wolicki and may not be used or reproduced without written permission. The Meadow-Moor: Supersedes The Commonplace! What a month! Two weeks ago, an elderly friend took a bad fall and I’ve been spending a little time helping her “get back on her feet” - literally and figuratively! Between that, and trying to write a book about Penniman (which is 100 years old in 2015), it’s been a very busy time. Last year, my buddy Dale Wolicki sent me these wonderful photos of a rare Sterling “Meadow-Moor” that he discovered in Rocky River, Ohio. I’ve never seen a Meadow-Moor and according to Dale, this is the first one he’s seen, too! Thanks to Dale for sharing his photos! Enjoy the pictures, and please leave a comment below. 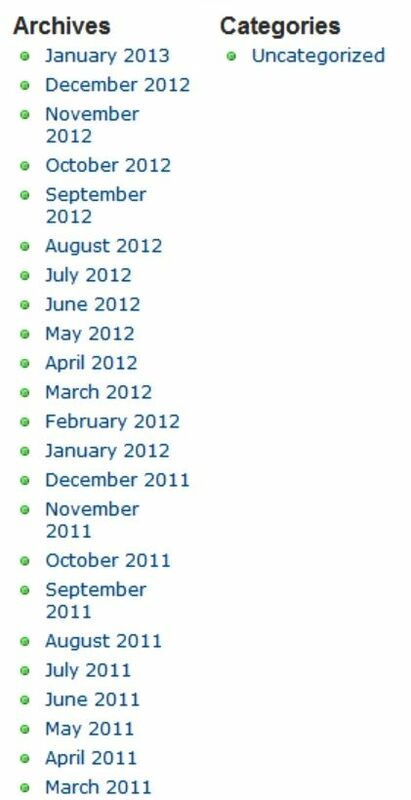 To visit one of Dale’s websites, click here. To learn more about Sterling Homes, click here. 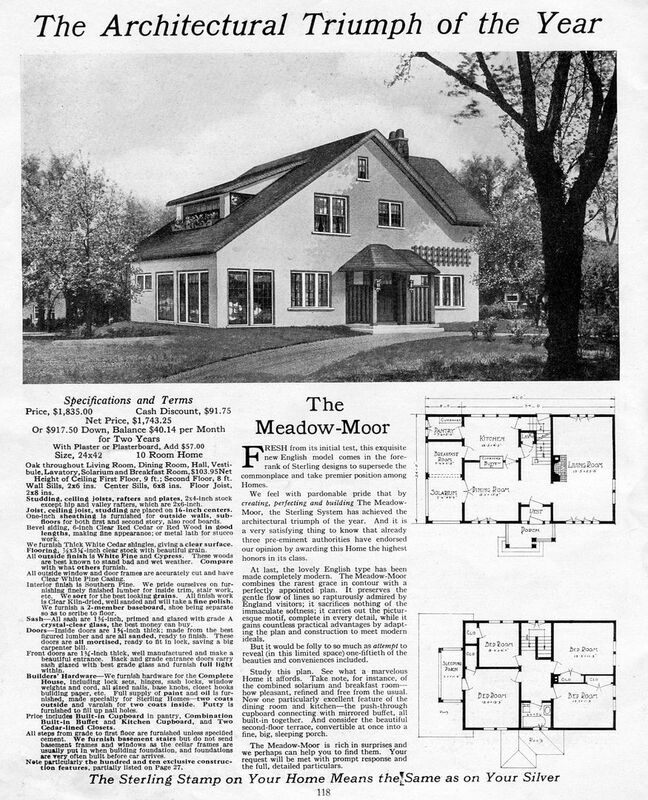 The Sterling Meadow-Moor (1914 catalog). Spacious, too! Love the "cupboard buffet" and Solarium. Back in the day, the 2nd floor bathroom (usually the only bath) ended up on the front. I'd spend my whole life on that sunporch. Still has its thatch-effect roof, too! What a cream puff of a kit house! Photo is copyright 2014 Dale Wolicki and may not be used or reproduced without written permission. In the last two years, I’ve visited Richmond three times and have seen many parts of the city, but it would seem that I missed the 5100-block of Riverside Drive all three times! Fellow old-house-lover Molly Dodd graciously offered to get a picture of the house for me, and lo and behold, it appears to be the real deal. A Lewis Dorchester in Richmond! This city - less than 100 miles from my home in Norfolk - has been an endless source of entertainment for me, as we’ve found kit homes from Sears, Gordon Van Tine (including an original “testimonial house”), Aladdin and Harris Brothers. And now, not only does it have a kit home from Lewis Manufacturing, but it has their biggest and best kit home - The Dorchester. Thanks to Dale Wolicki for providing original catalog images of the Lewis Dorchester, and thanks to Molly Dodd for taking pictures of the Richmond Dorchester. 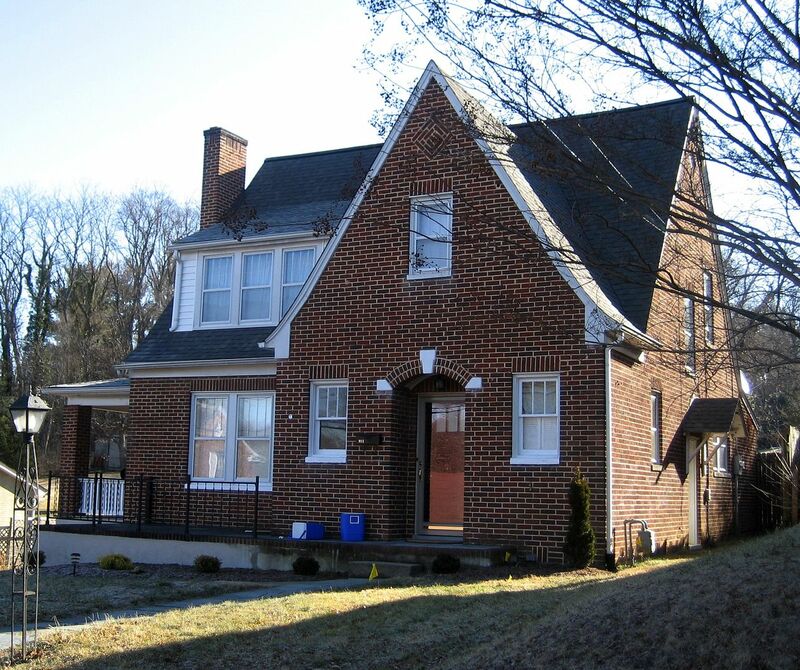 To learn more about the kit homes in Richmond, click here. 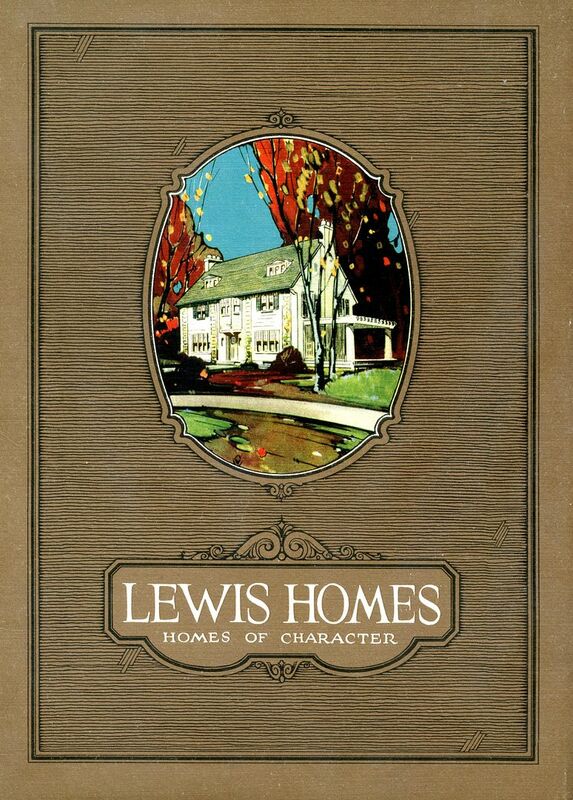 Lewis Homes was a company that sold kit homes through their mail-order catalogs in the early 1900s. 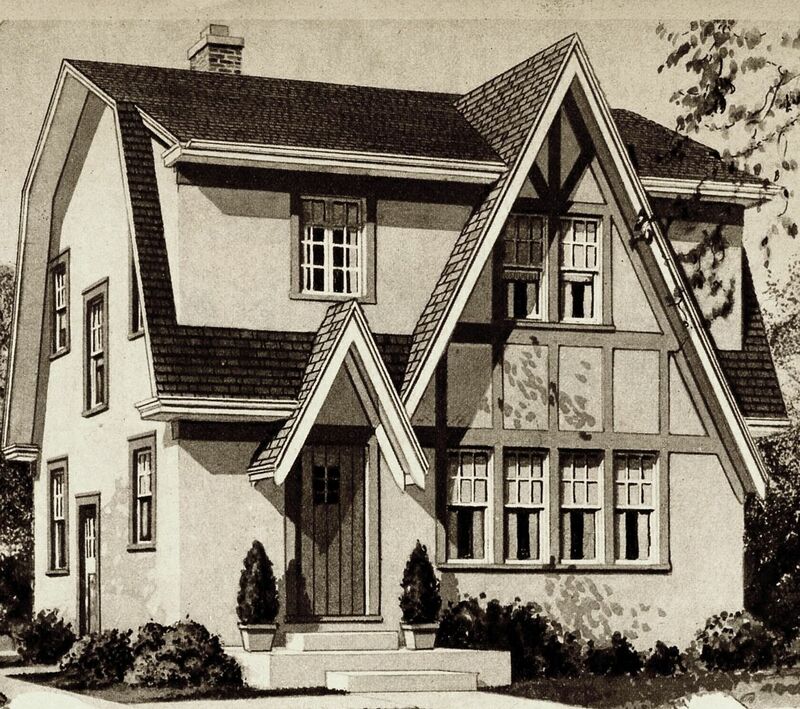 Here's a cover of the 1925 Lews Homes catalog, courtesy Dale Wolicki. 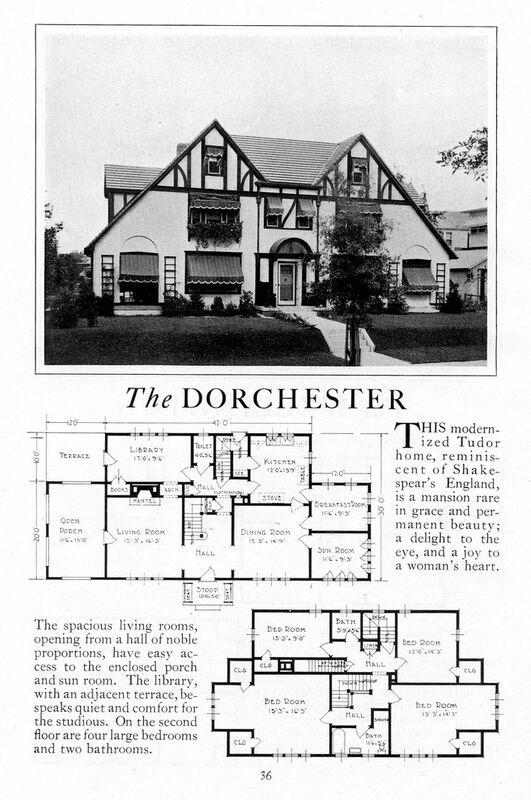 The Dorchester was a spacious house with more than 2,600 square feet. For a kit home, that's most unusual. 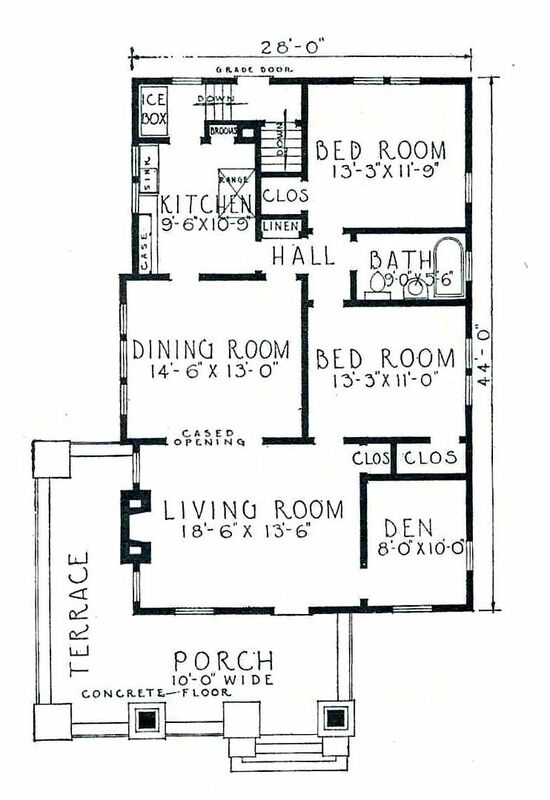 The Dorchester had a sunporch, library, 2.5 baths and four bedrooms. 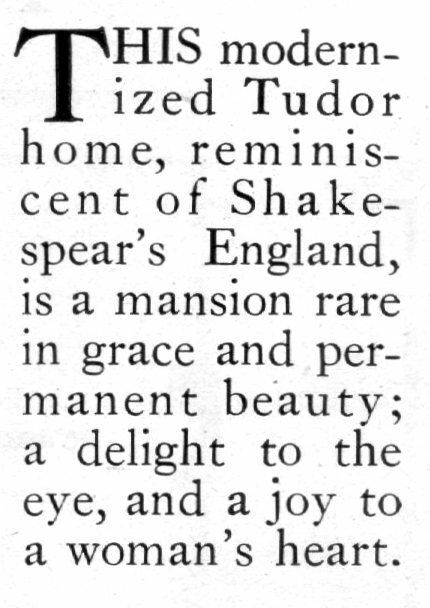 "A joy to a woman's heart." How poetic! 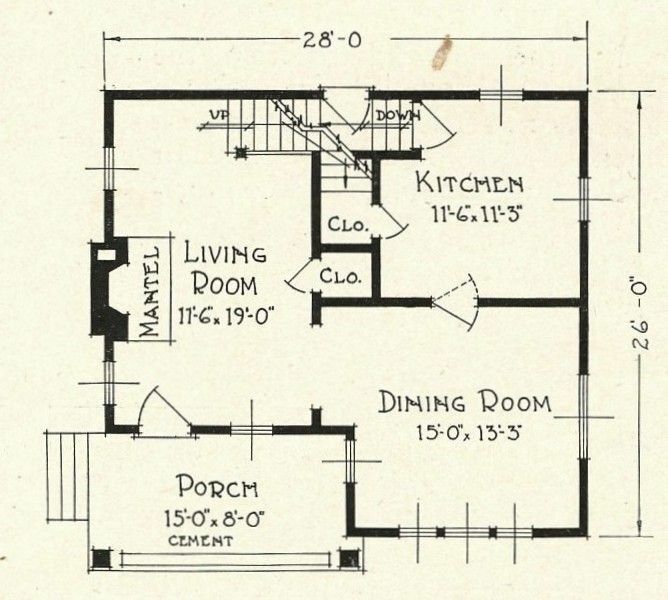 The first floorplan shows that this was a spacious and fancy home. The breakfast room was accessible from both the kitchen and dining room, which is a really nice feature! 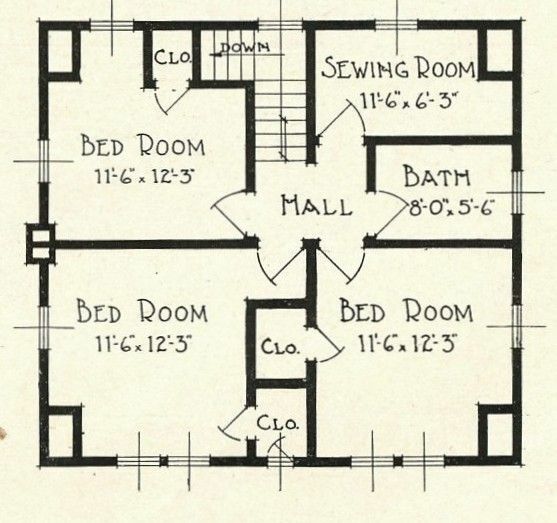 The bedroom in the upper left was probably maid's quarters, as it was at the top of the rear staircase and had it's own tiny bathroom. Notice that there's a separate shower in the main bathroom. Very progressive for 1925. Good golly, that's a big house. My oh my, Richmond has its own Dorechester! Photo is copyright 2014 Molly Todd and may not be used or reproduced without written permission. 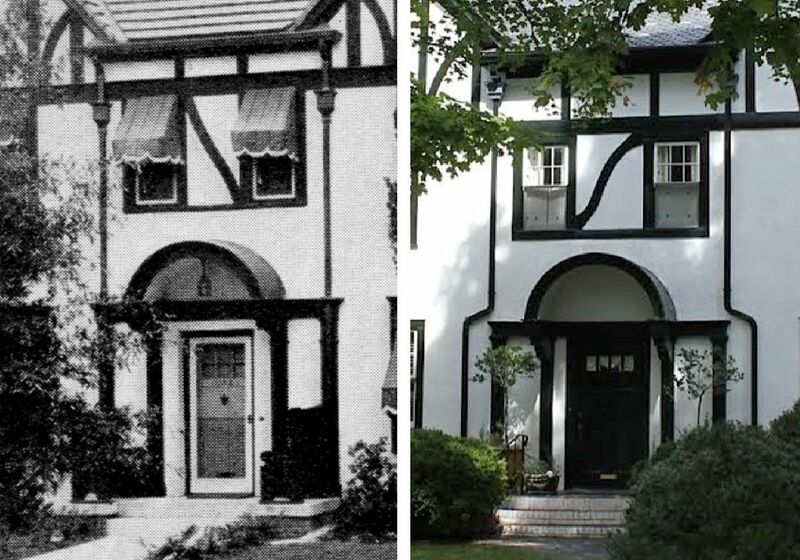 Comparison of the catalog image (left) and extant house (right) shows that it really is a perfect match, right down to the downspouts! Only problem is, our Richmond house is missing its "hospitality benches." 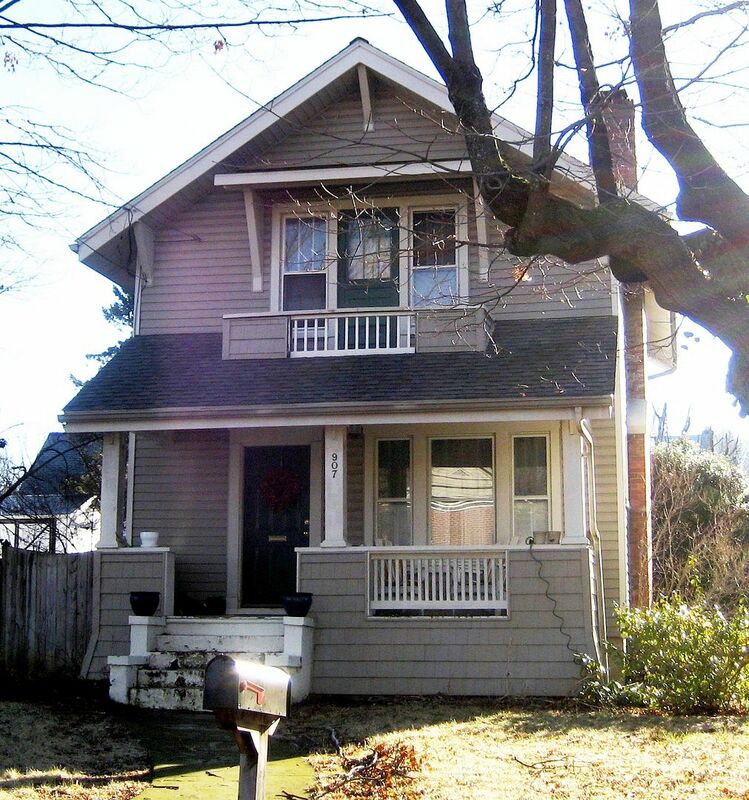 Do you know of any other kit homes in Richmond? Perhaps there’s a Magnolia lurking behind a row of wax-leaf legustrums somewhere? If so, please leave a comment below! Learn more about “hospitality benches” by clicking here. 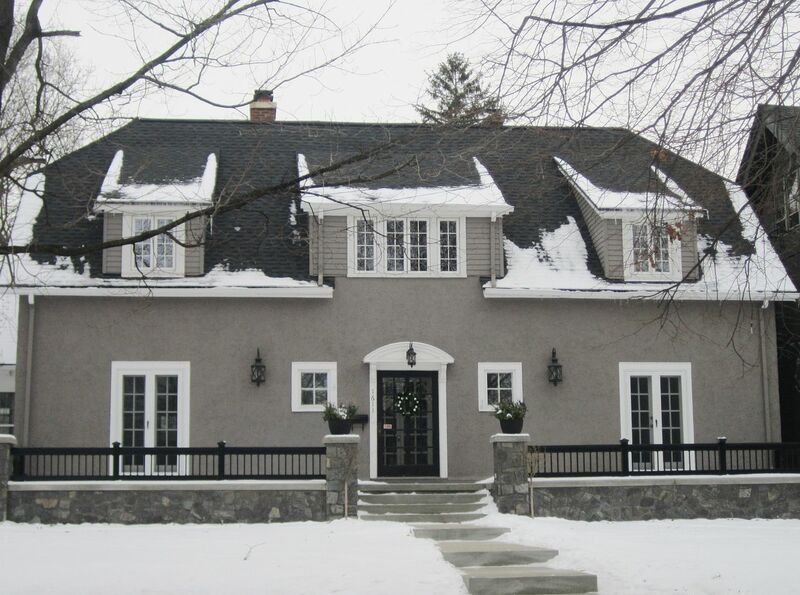 To read more about the kit homes in Richmond, click here. 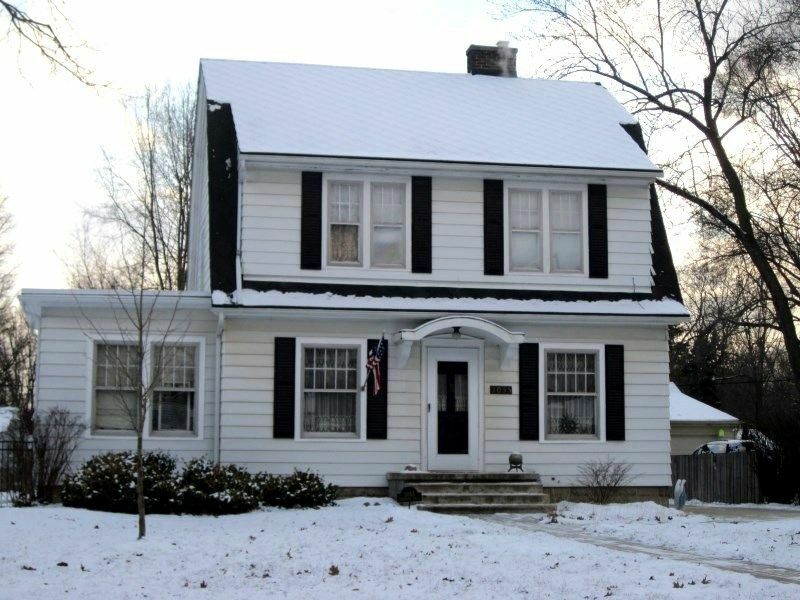 Last week, Donita Roben joined our group on Facebook (”Sears Homes”) and posted a picture of her home, asking if someone could identify a family home that had come from Sears Roebuck. Thanks so much to Donita for sharing these photos! And thanks to Rachel for identifying this wonderful old house! To hear Rose’s recent interview on NPR, click here! Donita said that her father-in-law remembered the house being delivered by train. She wrote, "My father-in-law remembers that everyone in town was so excited about its arrival. He talked about unloading the train and hauling things by wagon. Even the kids got in on helping by pulling their little wagons loaded with kegs of nails, etc. He did not live in the house until later. It was actually built by the town doctor (Dr. Cross)." Photo is copyright 2014 Donita Roben and may not be used or reproduced without written permission. 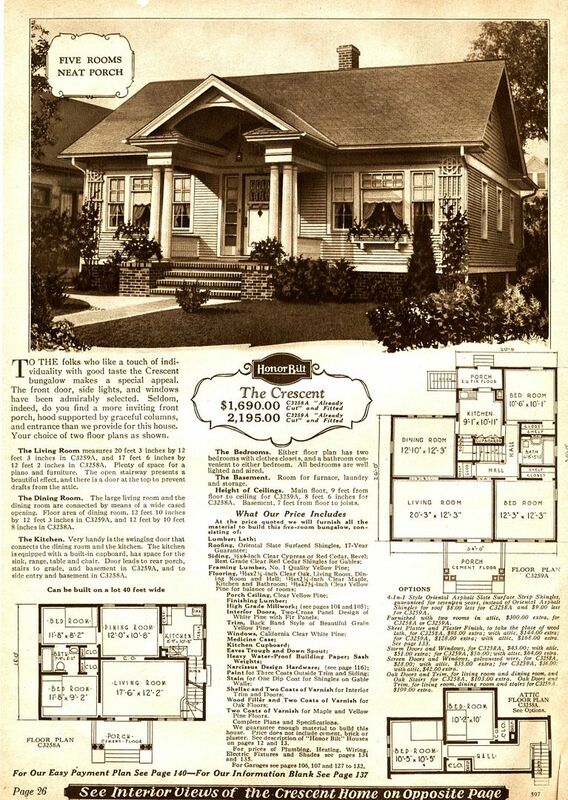 One of the things I love about the vintage image (shown above) is that it shows the Lewis Navarre from the same angle as the 1924 catalog picture! 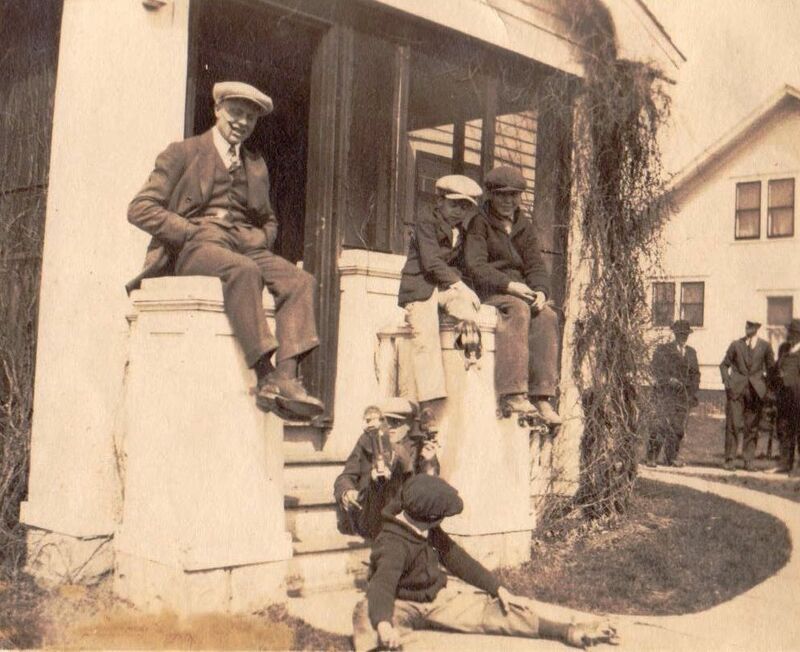 A close-up of the boys also provides some detail on the front porch. Check out those paneled columns. Photo is copyright 2014 Donita Roben and may not be used or reproduced without written permission. The Navarre was a surprisingly spacious house with a full second floor. 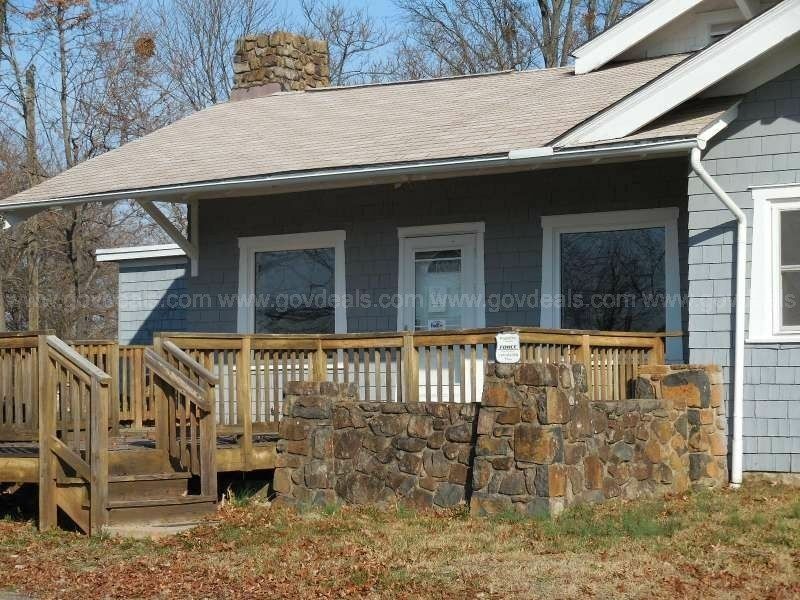 The house has four bedrooms and a bath on the second floor. 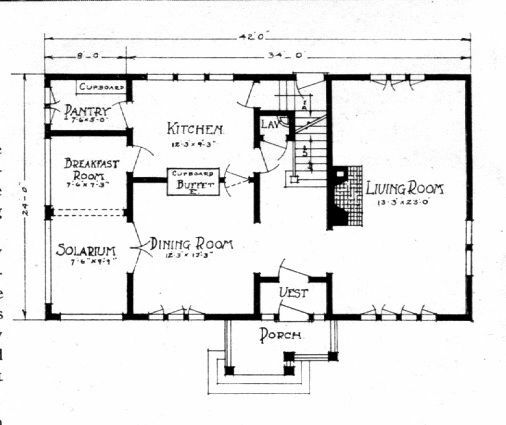 Downstairs, it had a nice-size kitchen with a walk-in pantry and a mudroom. 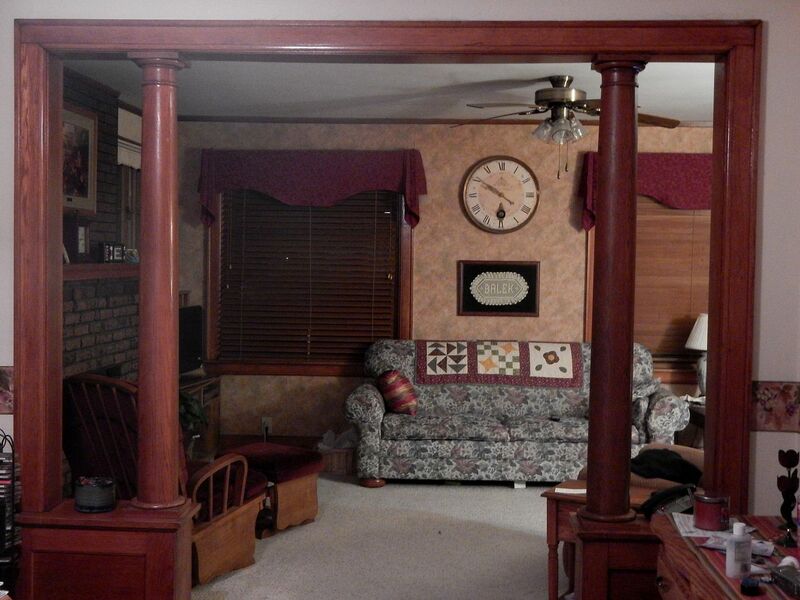 Donita also shared some pictures of the home's interior. The photo was taken in the dining room, facing into the living room. 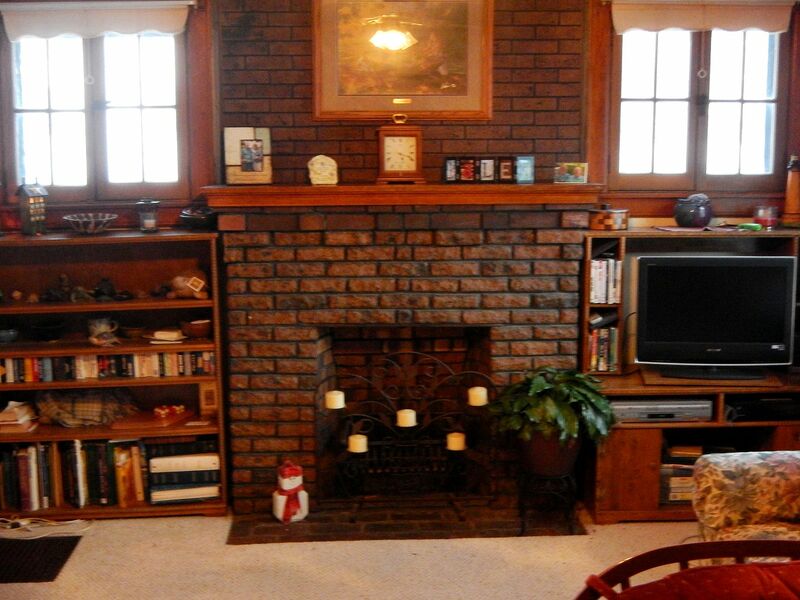 Note the fireplace on the left. Photo is copyright 2014 Donita Roben and may not be used or reproduced without written permission. And it still has its original windows! Photo is copyright 2014 Donita Roben and may not be used or reproduced without written permission. 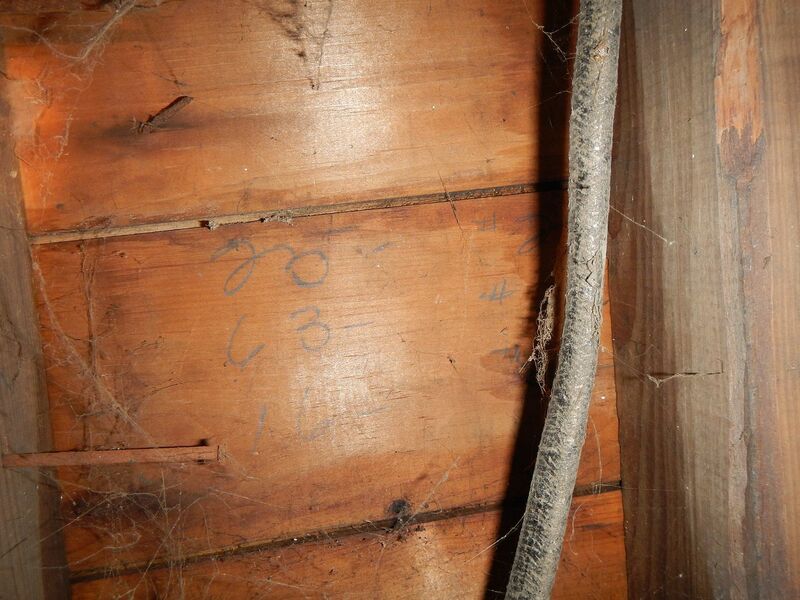 And she found some markings on the lumber Photo is copyright 2014 Donita Roben and may not be used or reproduced without written permission. 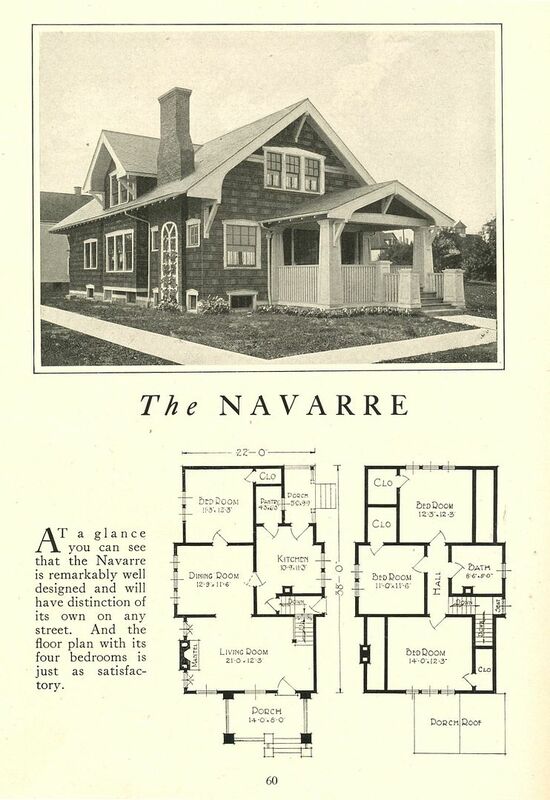 "You can see that the Navarre is remarkably well designed..." (1924). 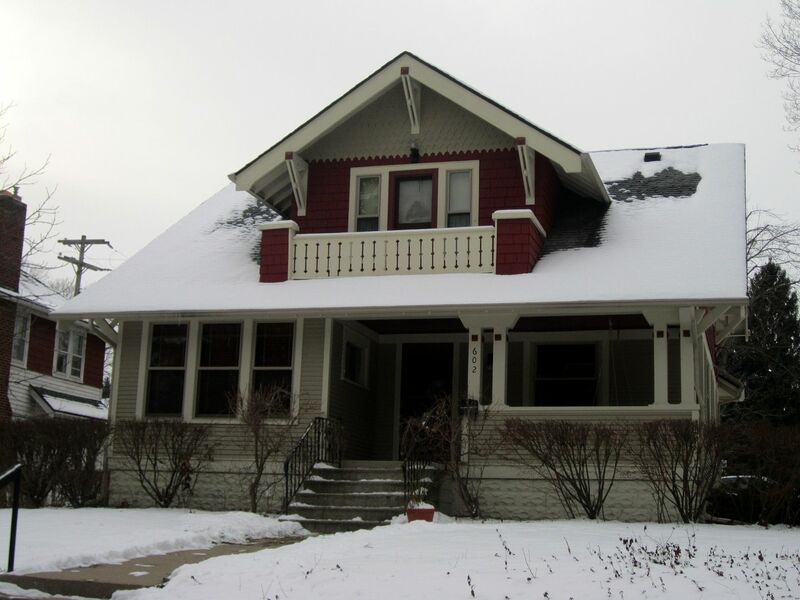 In her email to me, Donita wrote, "One of my best friends lived in this house and I used to walk home from school with her when we were in high school. 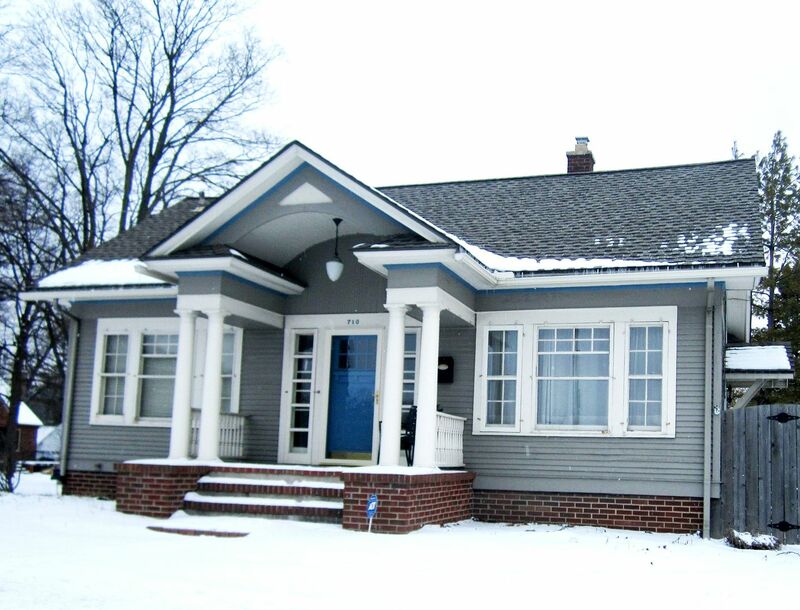 I spent quite a bit of time at the house, and loved it even then." Photo is copyright 2014 Donita Roben and may not be used or reproduced without written permission. Many folks enjoy seeking and finding kit homes, but they’re not sure where to begin. Between Sears, Gordon Van Tine/Montgomery Ward, Lewis Manufacturing, Sterling and Harris Brothers, there were at least a couple thousand designs. If you want to find kit homes, how do you begin? 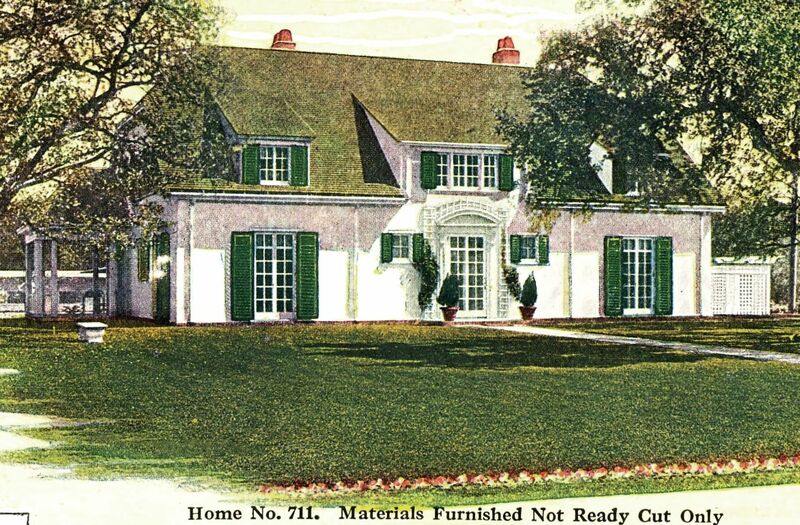 Well, this very blog might be an ideal starting point because as it turns out, Ann Arbor has a lovely smorgasbord of “typical” (and very popular) kit homes from Sears, Gordon Van Tine/Montgomery Ward, and Lewis Manufacturing. Take a few moments and memorize these photos, and then see if you can find these houses in your town! Be forewarned, it’s a lot of fun and highly addictive. Bet you can’t stop at just one! If you’re able, you might even visit one of these communities that has an abundance of kit homes (as identified by this blog). Interested in finding such a city? Go to the search box at the top of the page (right side) and type in your state and see what pops up. There are 700 blogs at this site and several thousand photos representing 32 states. That’s a lot of places! And what about Ann Arbor? Well, thanks to Andrew and Wendy Mutch, we have a gaggle of photos from that city highlighting the many kit homes. One recommendation: You might want to don a sweater before gazing upon these pictures. Just looking at all those snow-covered houses gives me the shivers! 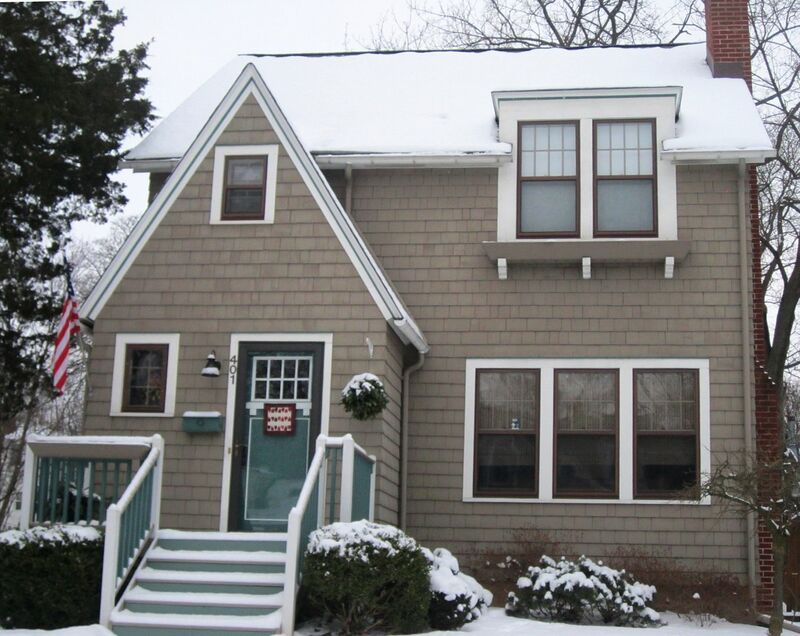 Thanks to Andrew and Wendy for supplying all these wonderful pictures of kit homes in Ann Arbor. Did you know that there’s a “Sears Home Group” on Facebook? Join us! To learn more about Wardway, click here. 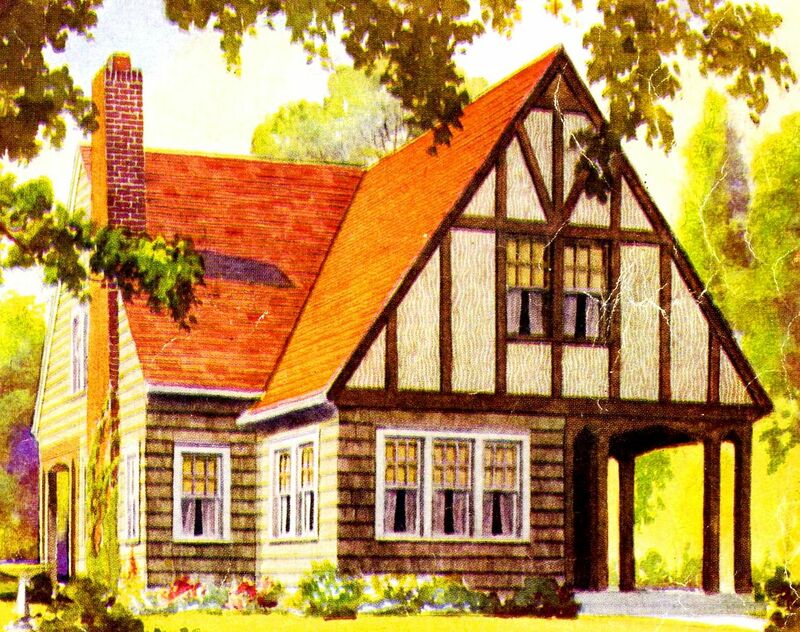 Interested in Sears kit homes? Click here. 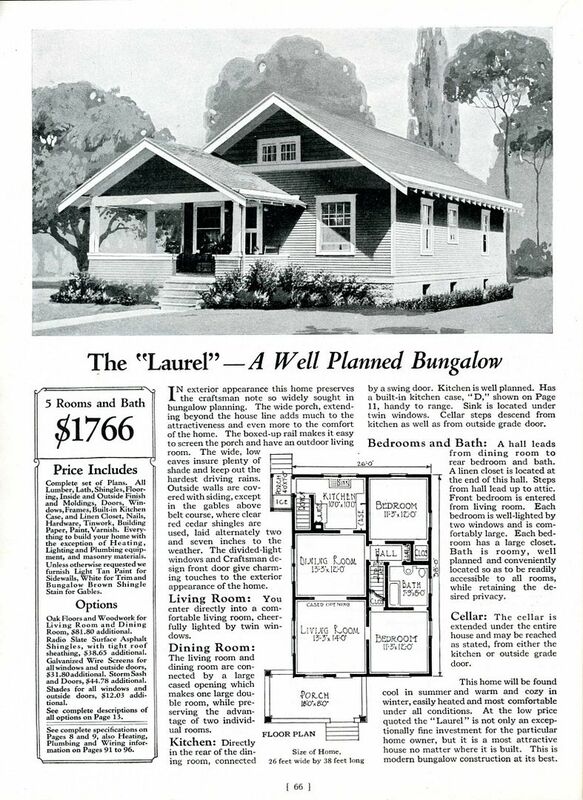 The Barrington, as seen in the 1928 Sears Modern Homes catalog. 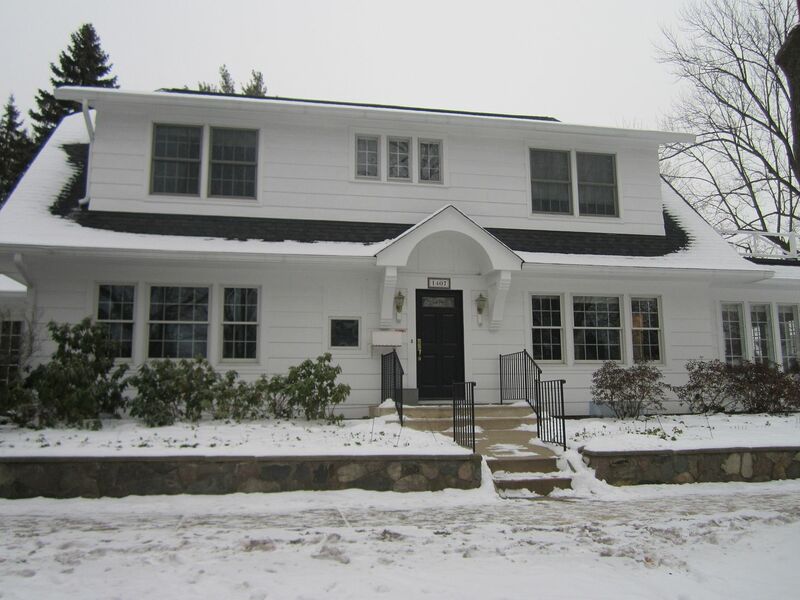 And here's a beautiful example in Ann Arbor, Michigan. Notice the bracketing for the flower boxes (2nd floor window) is still in place. Photo is copyright 2012 Andrew and Wendy Mutch and may not be used or reproduced without written permission. 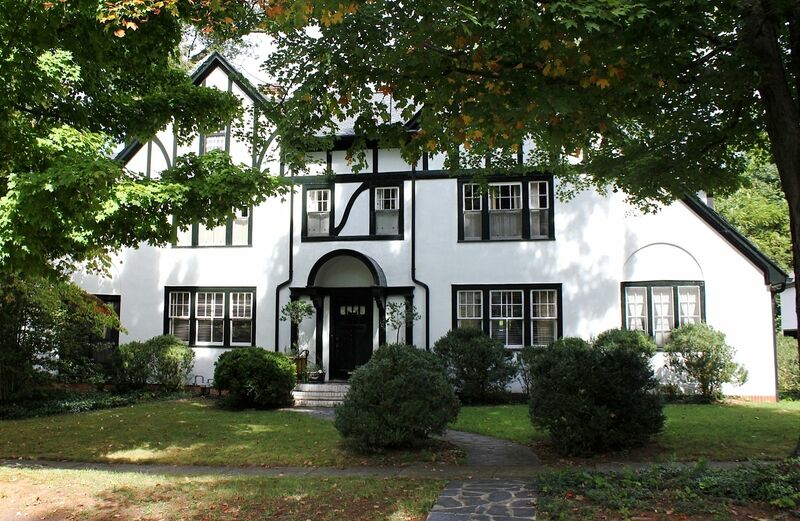 The Brookwood is similar to the Barrington but they have a few minor differences. Do you see the difference between the two? 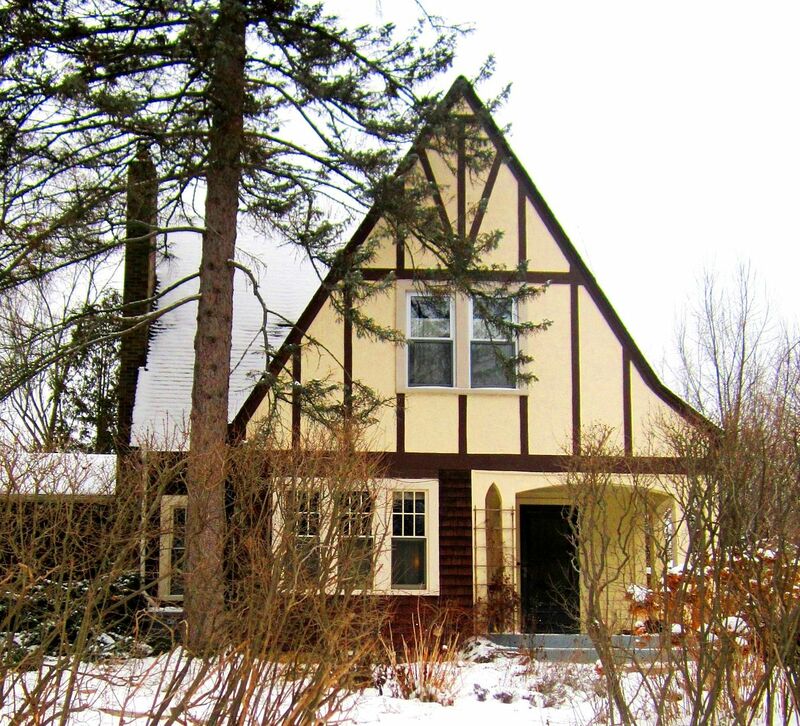 The Brookwood is smaller, and has two living room windows (and the Barrington has three). For a time, I'd get these two confused, and then it dawned on me that "Brookwood" has two syllables and two windows! Barrington has three! 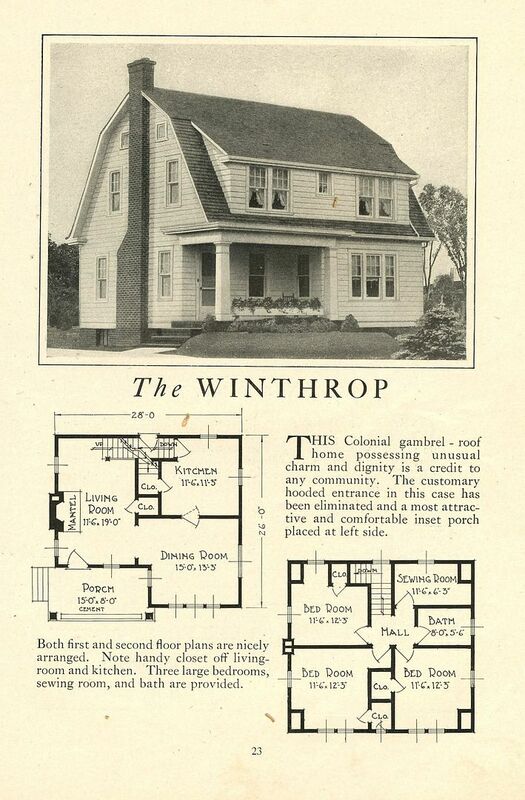 This is from the 1933 catalog. 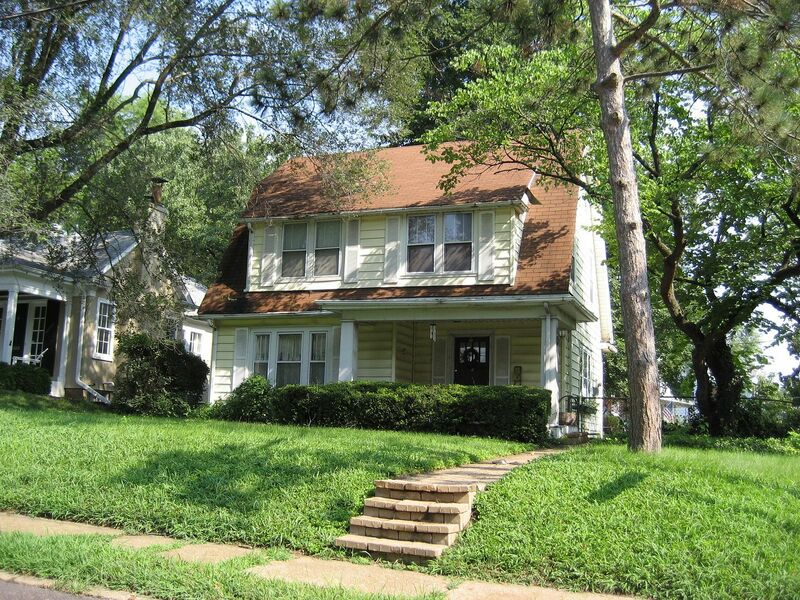 And here's a fine-looking Brookwood in Ann Arbor. Photo is copyright 2012 Andrew and Wendy Mutch and may not be used or reproduced without written permission. 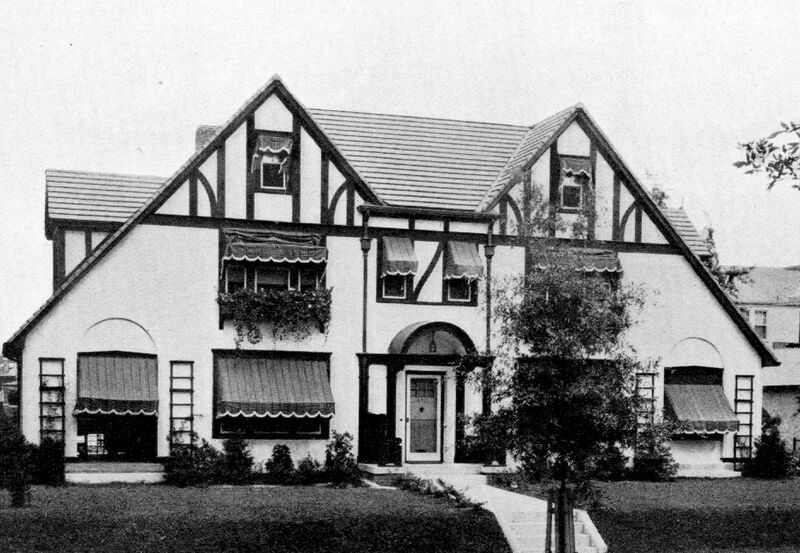 The Sears Dover was an immensely popular house and easy to identify, thanks to its many unique features (1928). 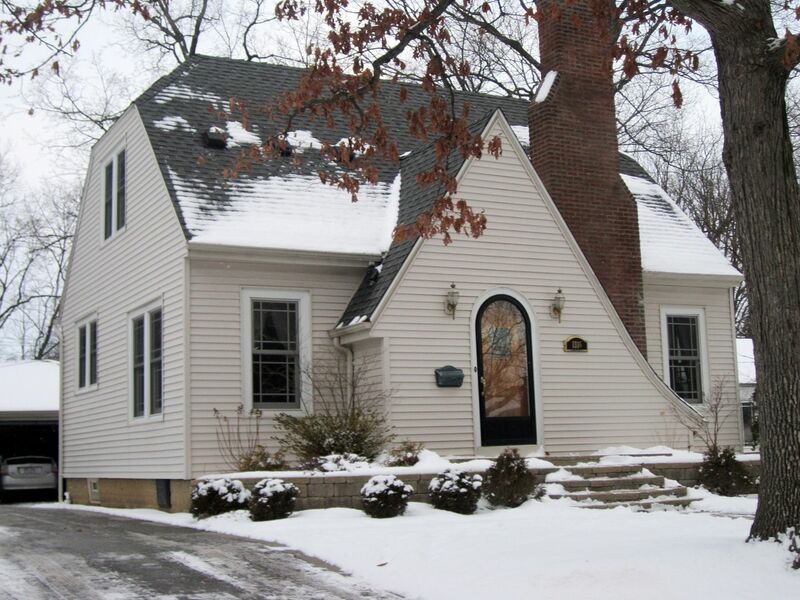 Here's a picture-perfect Dover in Ann Arbor. You may notice it has two windows down the left side, where the catalog has three. This was a very common alteration. Photo is copyright 2012 Andrew and Wendy Mutch and may not be used or reproduced without written permission. Another beautiful Dover in Ann Arbor. 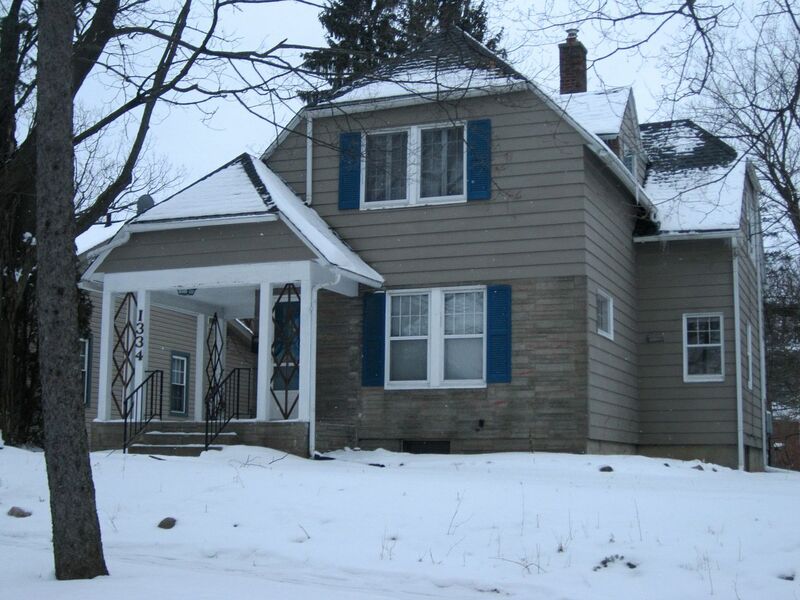 However, this house looks really cold. The extra snow shovels on the porch are part of that "chilly look" I suppose. Photo is copyright 2012 Andrew and Wendy Mutch and may not be used or reproduced without written permission. 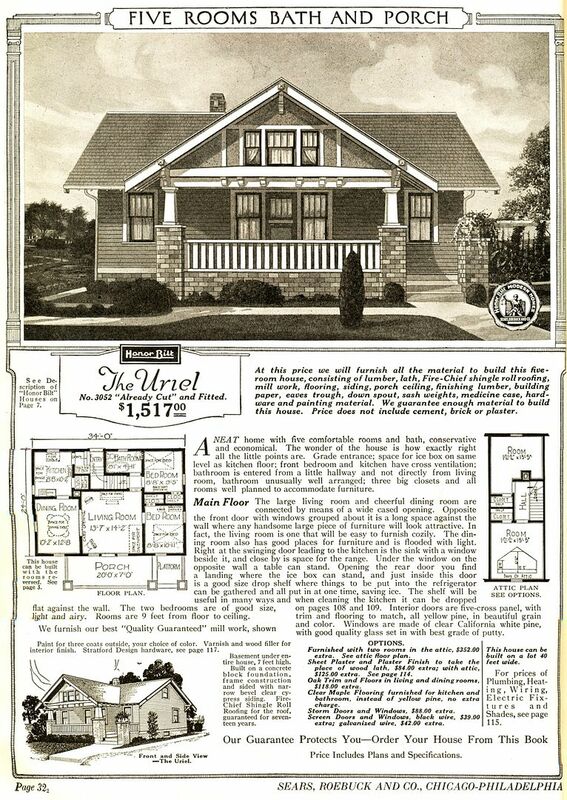 The Crescent was probably one of the top ten most popular designs that Sears offered (1928). 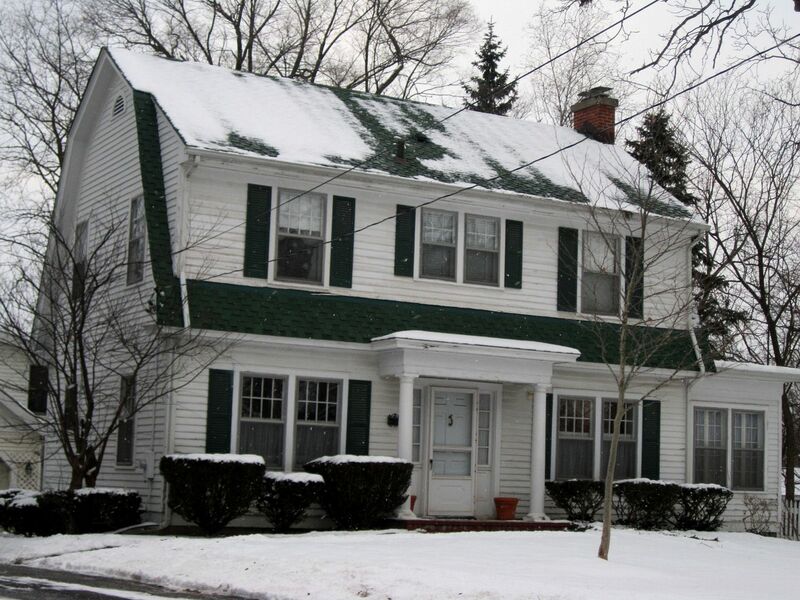 Not only does it have the original windows, but it has the original wooden storm windows too, and even the half-round gutters are true to 1928. Are these original or just high-quality replacements? Tough to know, but they sure do look good. Photo is copyright 2012 Andrew and Wendy Mutch and may not be used or reproduced without written permission. 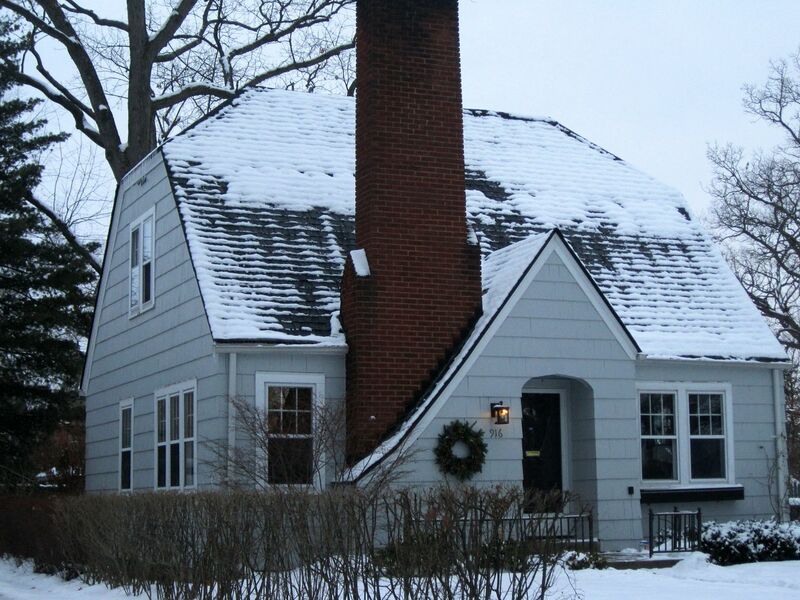 The Rembrandt, a classic Dutch Colonial, was one of their finer homes. Another perfect match. Note that the windows on the 2nd floor are centered over those paired windows on the first floor. 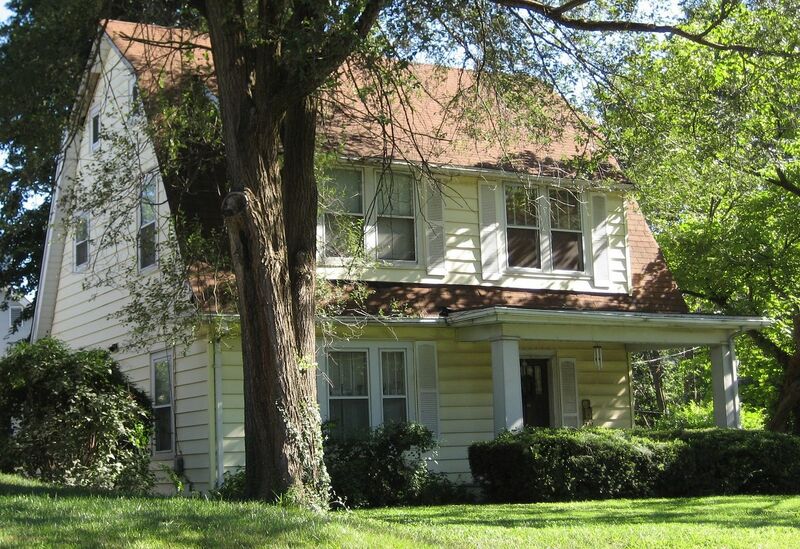 This single detail can help figure out - is it a Sears Rembrandt, or just another pretty Dutch Colonial? Photo is copyright 2012 Andrew and Wendy Mutch and may not be used or reproduced without written permission. 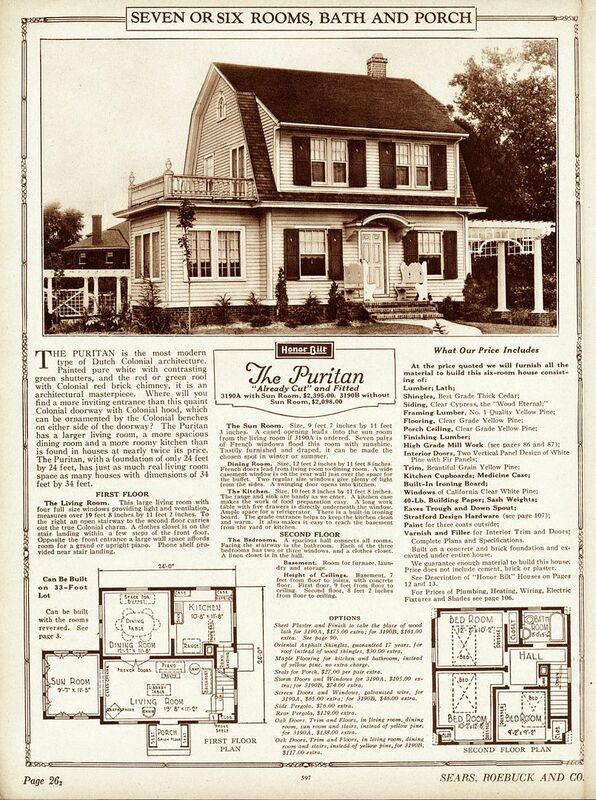 The Sears Puritan was a diminuitive version of the Rembrandt (1925). Like the Rembrandt, you can study the position of the windows to figure out if it's a Puritan or something else. The 2nd floor windows on the Puritan are NOT aligned with the first floor windows. Study this single detail, and it will help you easily differentiate the Puritan from the look-alikes. 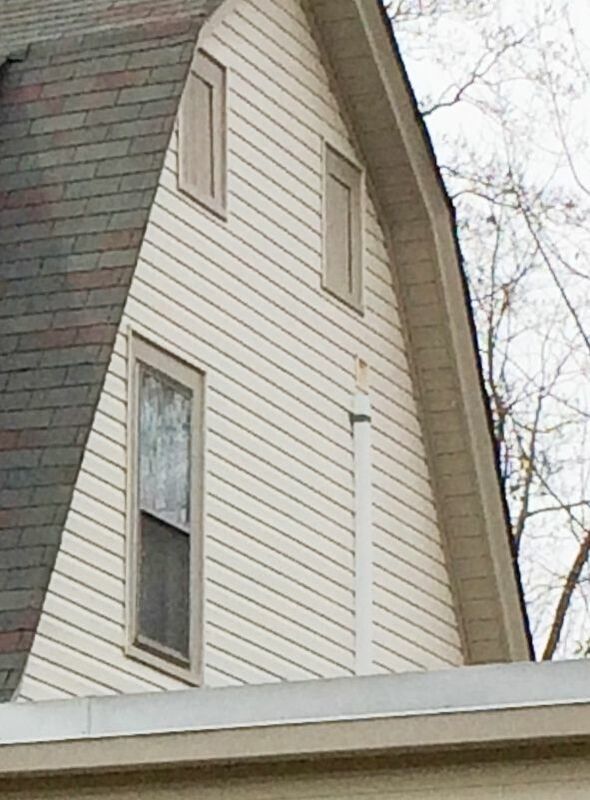 As with all these houses, also pay attention the chimney placement. 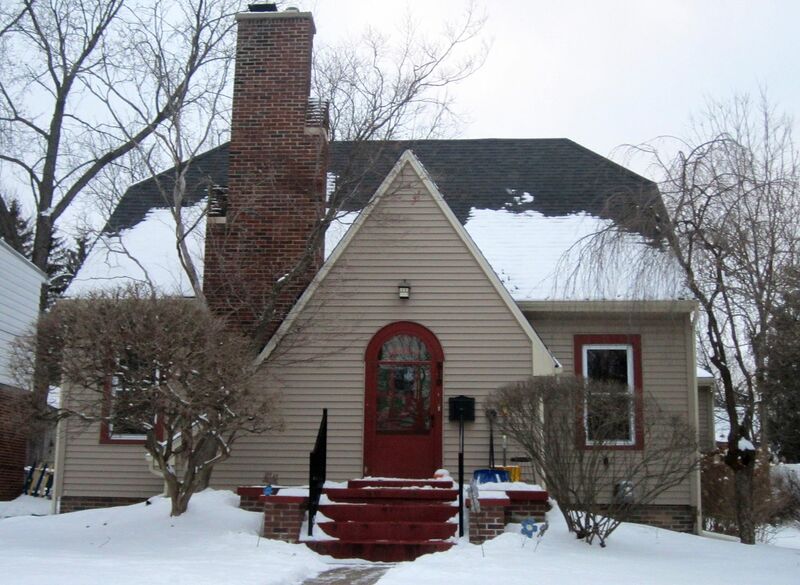 Remodelings come and go, but chimneys don't move. Photo is copyright 2012 Andrew and Wendy Mutch and may not be used or reproduced without written permission. 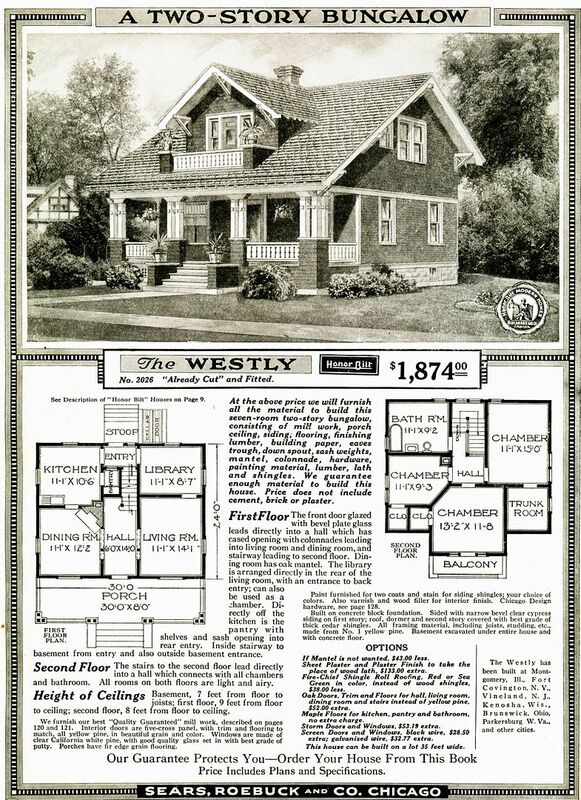 Another hugely popular house was the Sears Westly (1919). Pretty, pretty Westly in Ann Arbor. Still has its original railings. Photo is copyright 2012 Andrew and Wendy Mutch and may not be used or reproduced without written permission. And this Rodessa is in wonderfully original condition! Photo is copyright 2012 Andrew and Wendy Mutch and may not be used or reproduced without written permission. 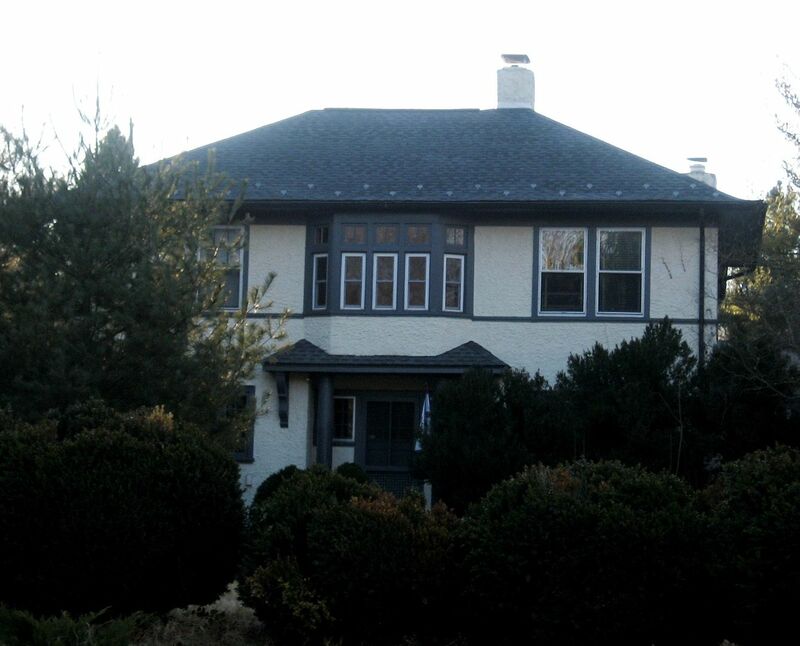 The Hathaway was another popular house (1928), and distinctive enough that it's easy to identify. Just look at all those clipped gables! Anther very fine match. 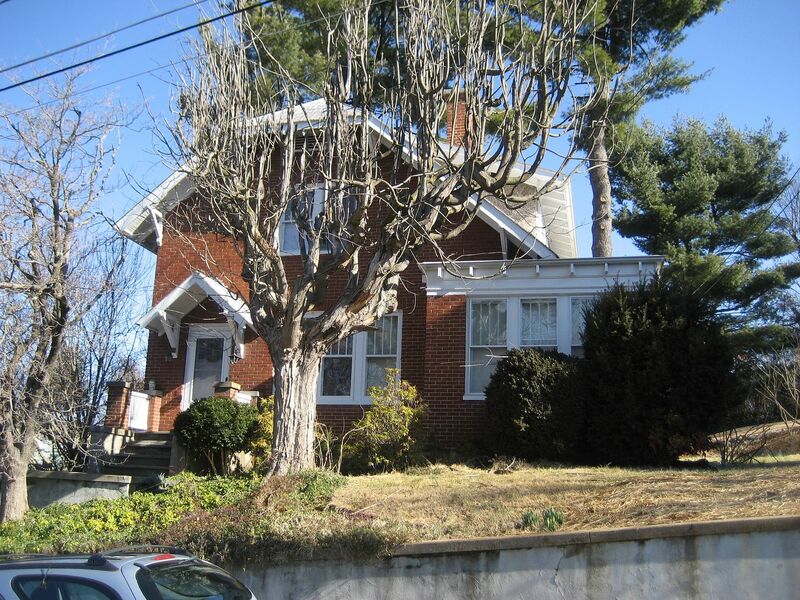 Sadly, this house has been hit with some permastone (front first floor), but other than that, it's a dandy! Photo is copyright 2012 Andrew and Wendy Mutch and may not be used or reproduced without written permission. 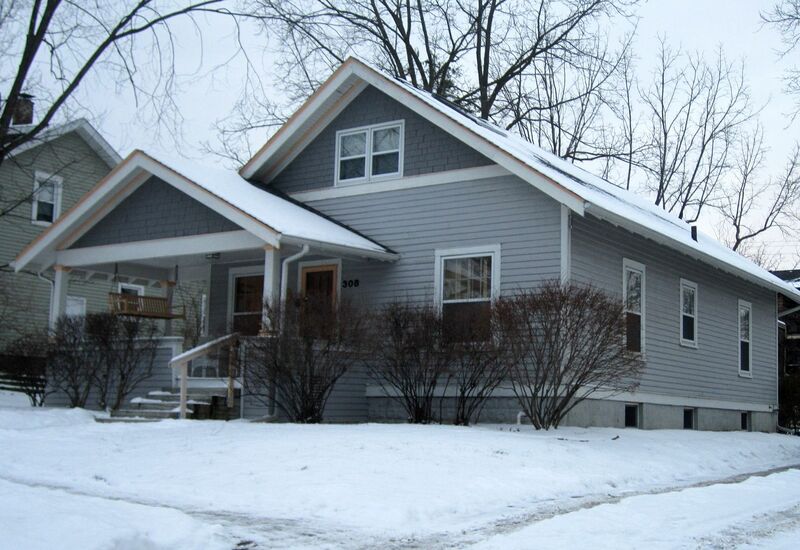 Another fine little Hathaway in Ann Arbor. Photo is copyright 2012 Andrew and Wendy Mutch and may not be used or reproduced without written permission. 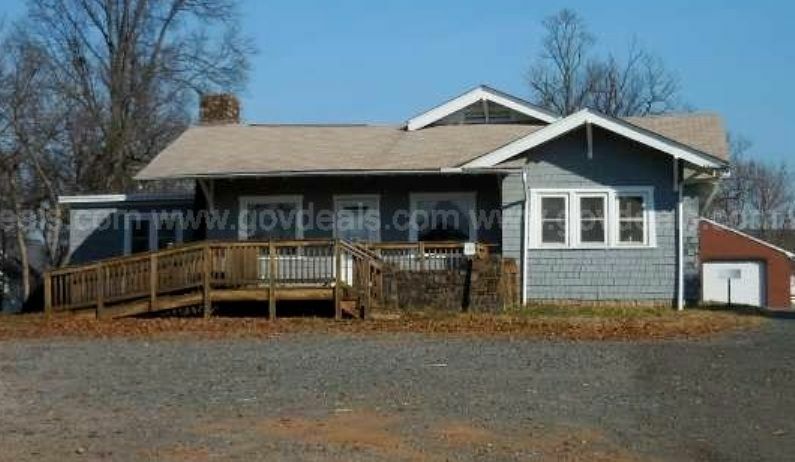 I wonder if the Realtor knows it's a Sears kit house? Based on my research, more than 90% of the people living in these houses don't realize what they have. Photo is copyright 2012 Andrew and Wendy Mutch and may not be used or reproduced without written permission. 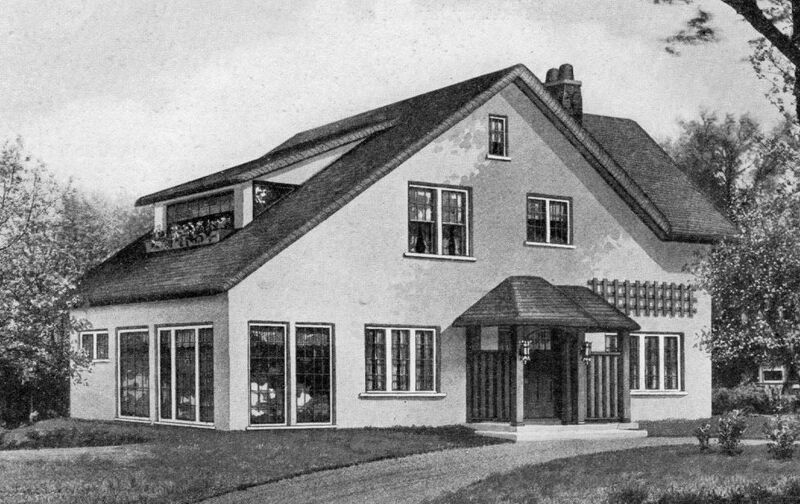 The Conway (also known as "Uriel"), as seen in the 1919 Sears Modern Homes catalog. 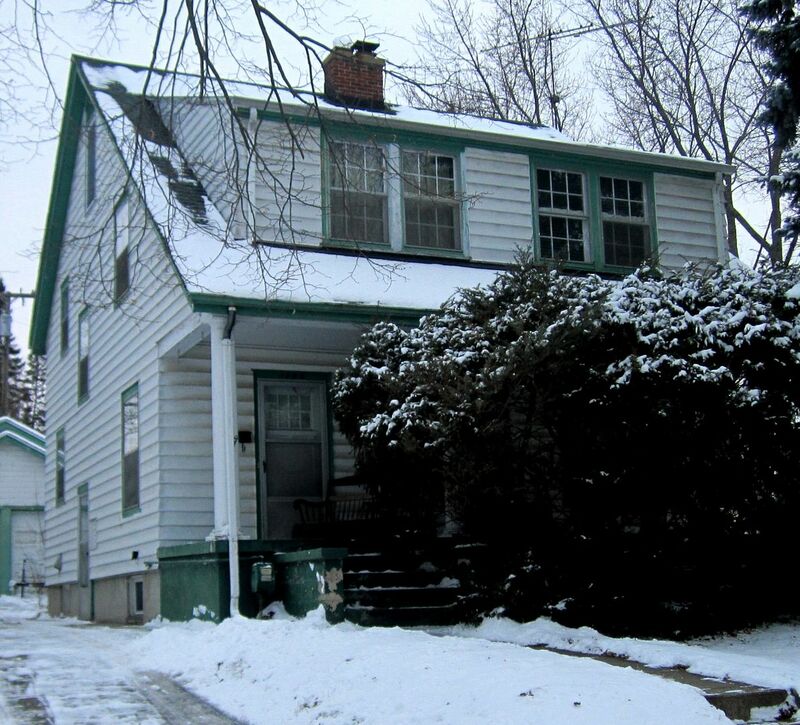 Another snow-covered example in Ann Arbor! 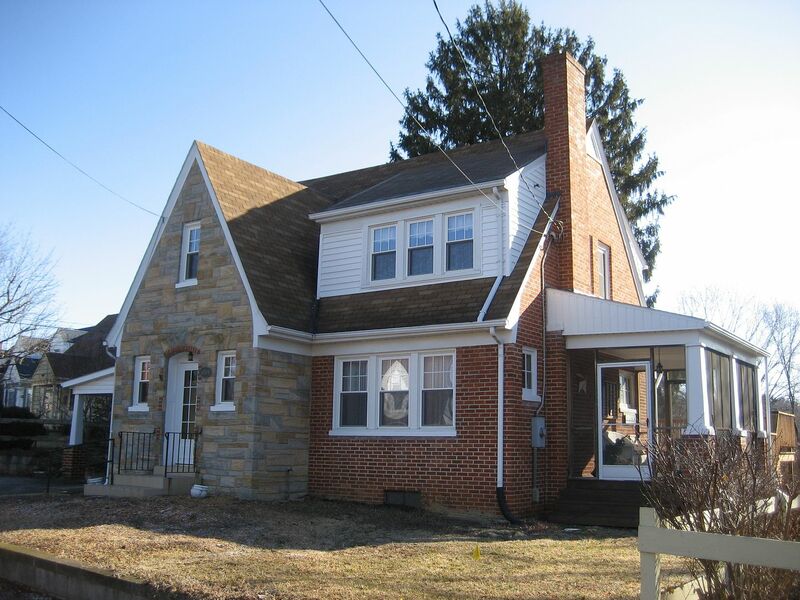 Notice the original bracketing under the oversized front gable, and that "phantom" brick pillar on the far right. Photo is copyright 2012 Andrew and Wendy Mutch and may not be used or reproduced without written permission. 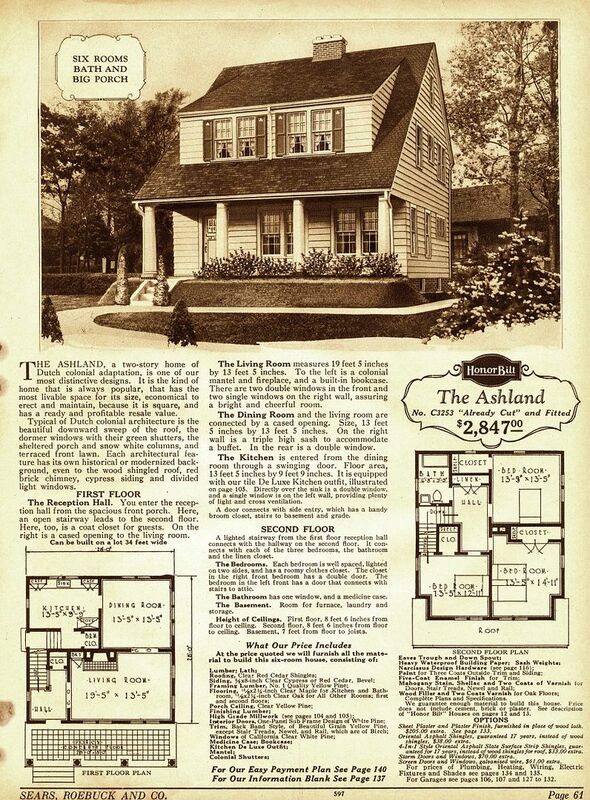 As seen in the 1928 catalog, "The Ashland." Where's a good chainsaw when you need one? Photo is copyright 2012 Andrew and Wendy Mutch and may not be used or reproduced without written permission. 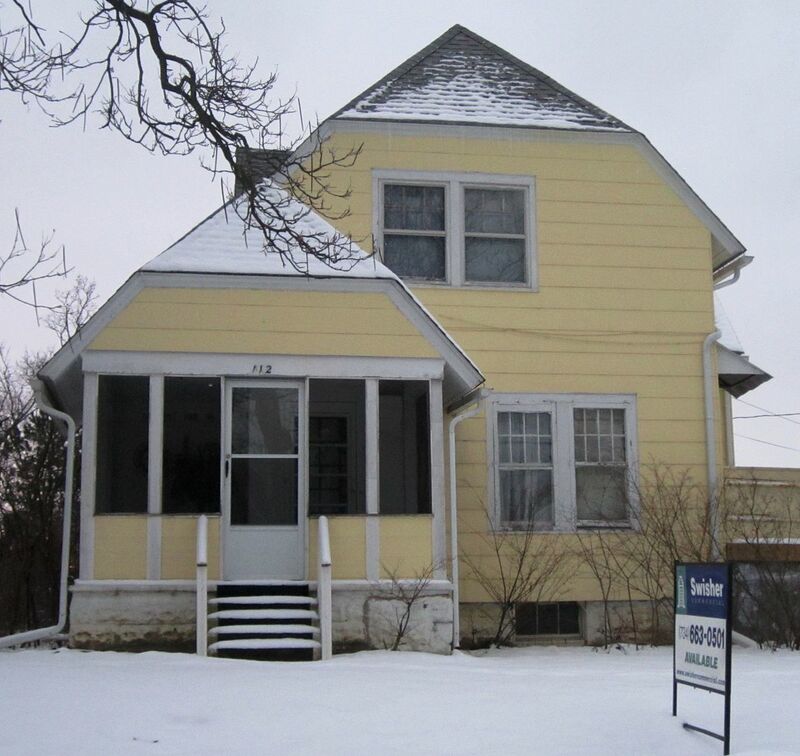 As mentioned, in addition to Sears, Ann Arbor also has kit homes from other companies, including Gordon Van Tine/Montgomery Ward, and Lewis Manufacturing. 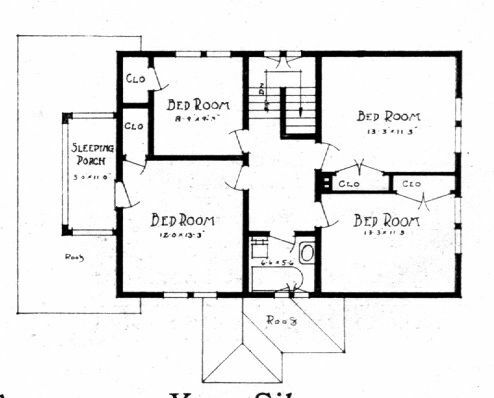 Shown above is one of GVT's biggest and bet kit homes, "The #711." Quite a house! And what a fine 711 it is! 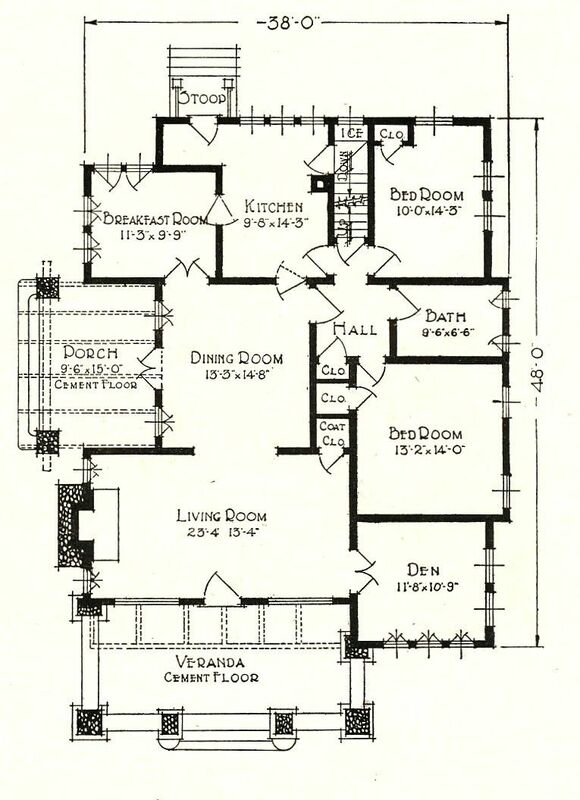 By the way, this was a huge house, measuring 48' wide and 30' deep, giving a total of 2,880 square feet. 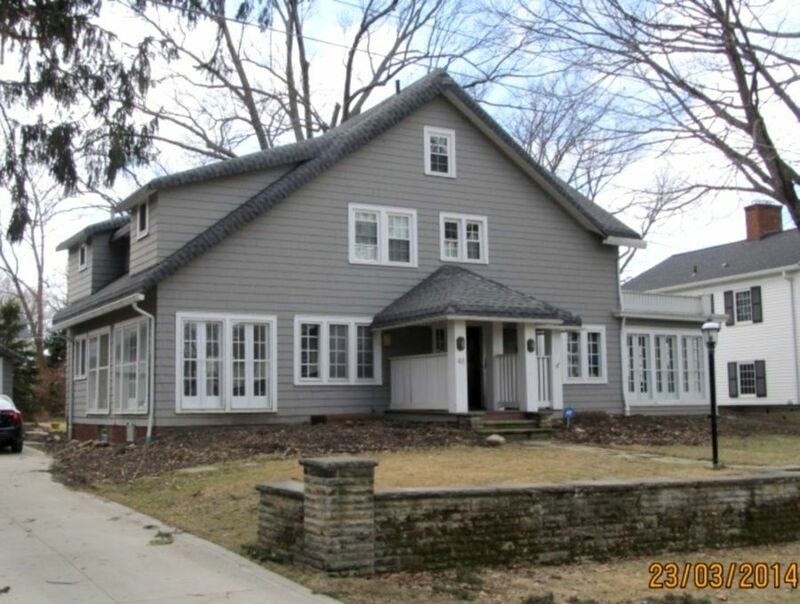 I have to double check, but I believe this was the largest kit home that was offered by Gordon Van Tine, and size-wise, it's the same as the Sears Magnolia (also 2,880 square feet). Photo is copyright 2012 Andrew and Wendy Mutch and may not be used or reproduced without written permission. 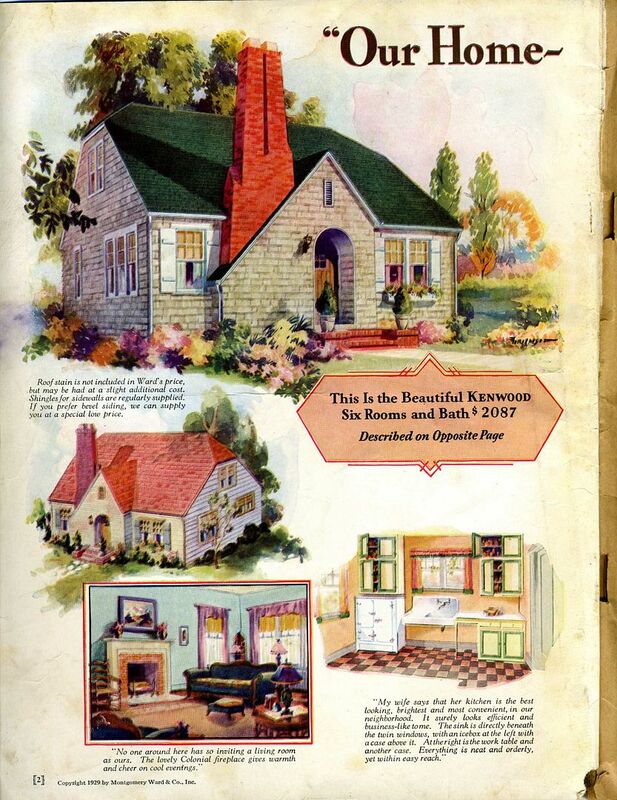 Gordon Van Tine fulfilled all of the orders for Montgomery Ward (Wardway), and their catalogs were nearly identical. Wardway had a few designs not seen in the GVT catalog, and GVT had a few not found in the Wardway catalog. 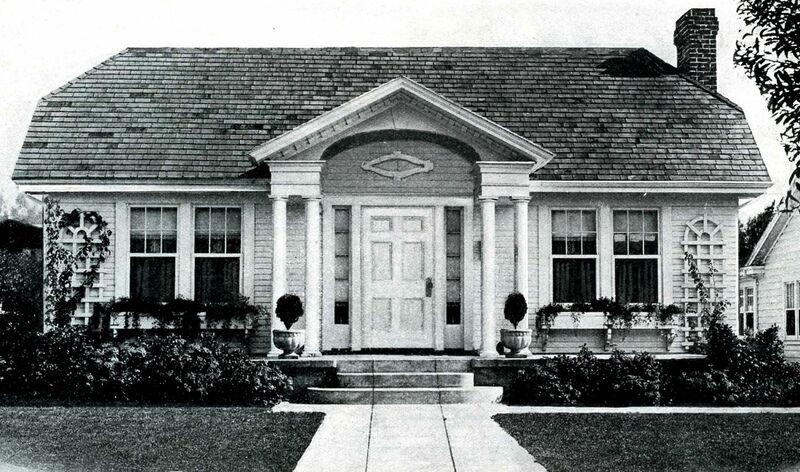 Shown above is the Wardway Laurel, as seen in the 1929 catalog. 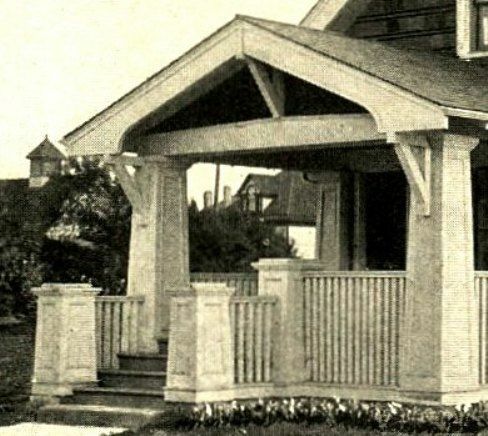 That offset front porch is a distinctive feature of the Wardway Laurel. Photo is copyright 2012 Andrew and Wendy Mutch and may not be used or reproduced without written permission. The Laurel as seen from the other side. 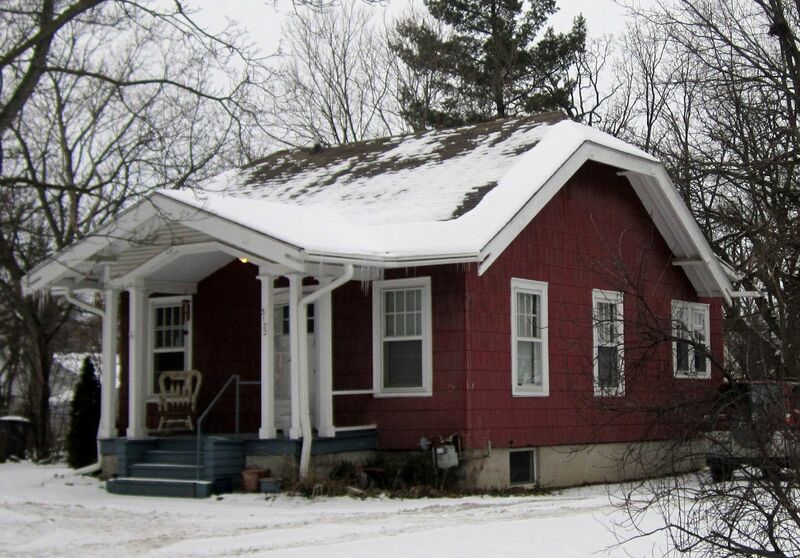 That small side porch is original to the house, and surprisingly - in still open (as when built). Photo is copyright 2012 Andrew and Wendy Mutch and may not be used or reproduced without written permission. 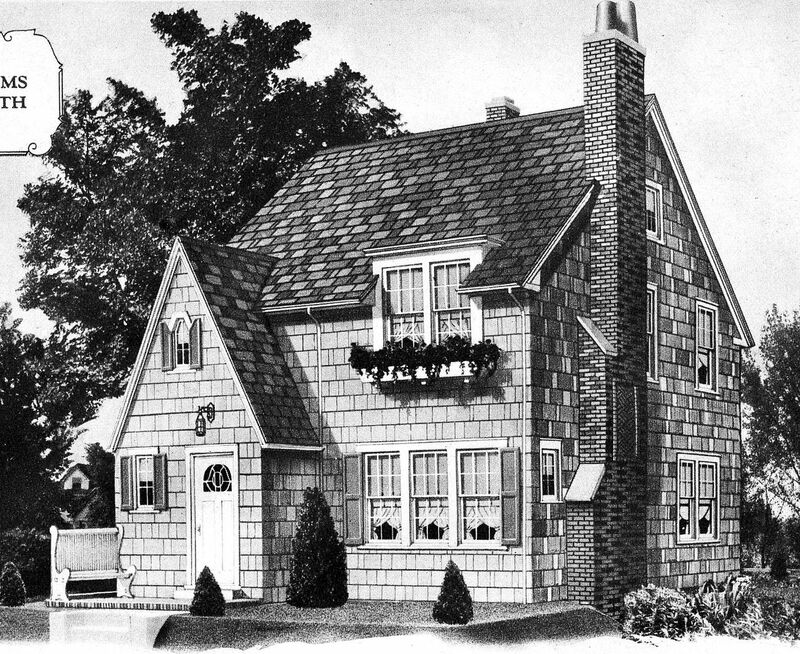 The Devonshire was one of those kit homes that was offered in the Wardway catalog, but not in the Gordon Van Tine catalog. It was on the cover of the 1931 (which was the last) Wardway catalog. 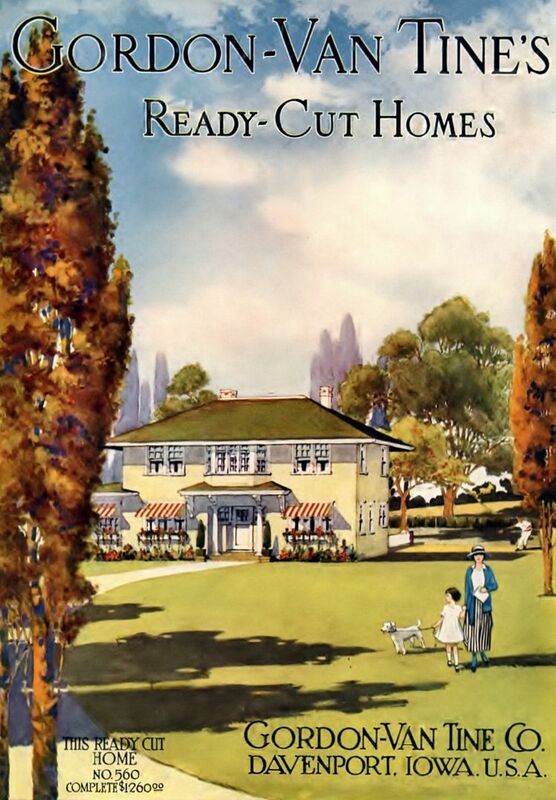 I just love that the Devonshire in Ann Arbor is painted the same colors as the house on the cover of the 1931 catalog. Photo is copyright 2012 Andrew and Wendy Mutch and may not be used or reproduced without written permission. 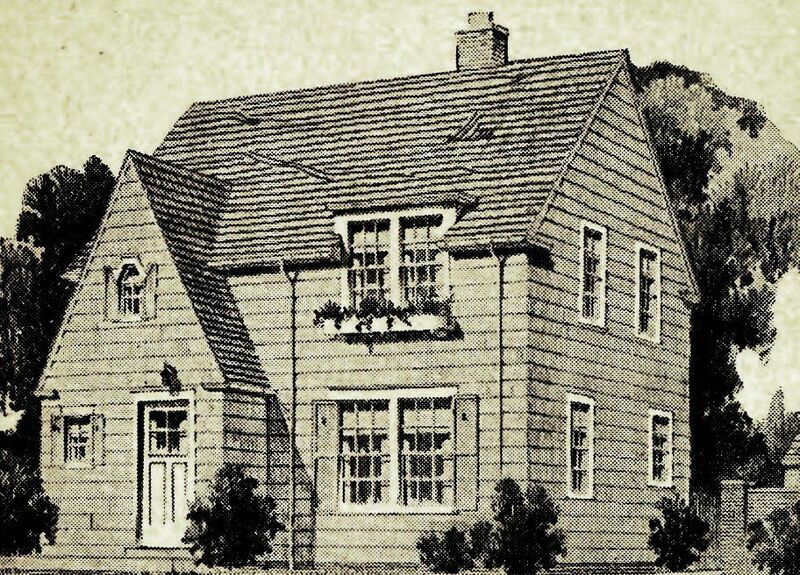 The Cranford was another house offered only in the Wardway catalog (1927). 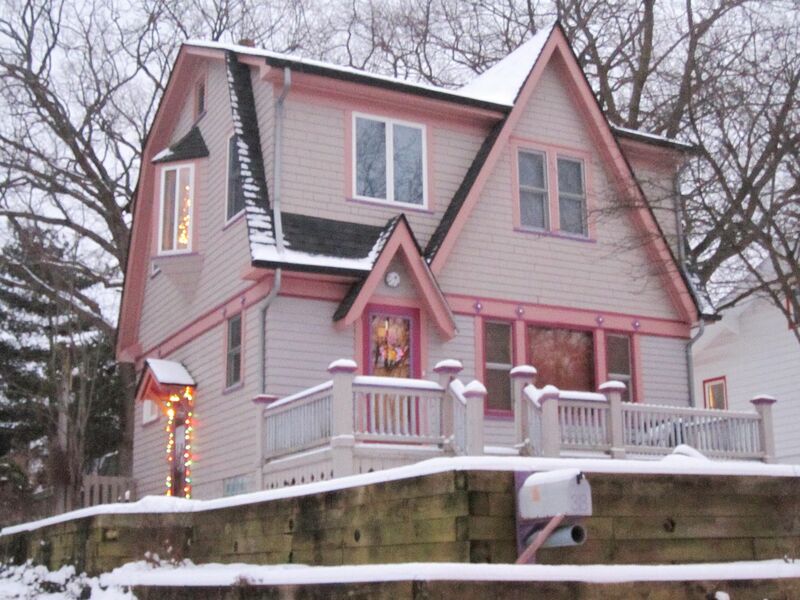 I surely do love a house dressed up in pink. I really do. 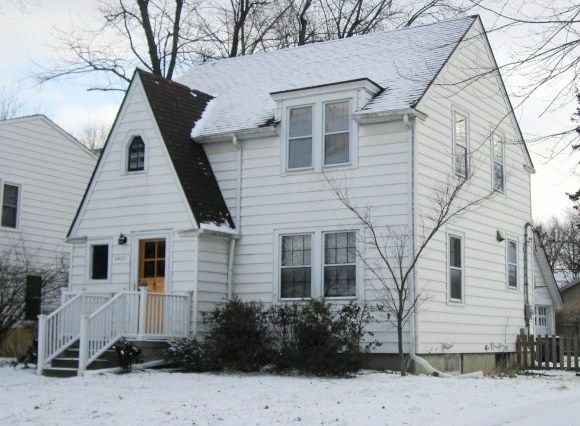 This Cranford is (like so many of the houses in Ann Arbor) in largely original condition. Photo is copyright 2012 Andrew and Wendy Mutch and may not be used or reproduced without written permission. 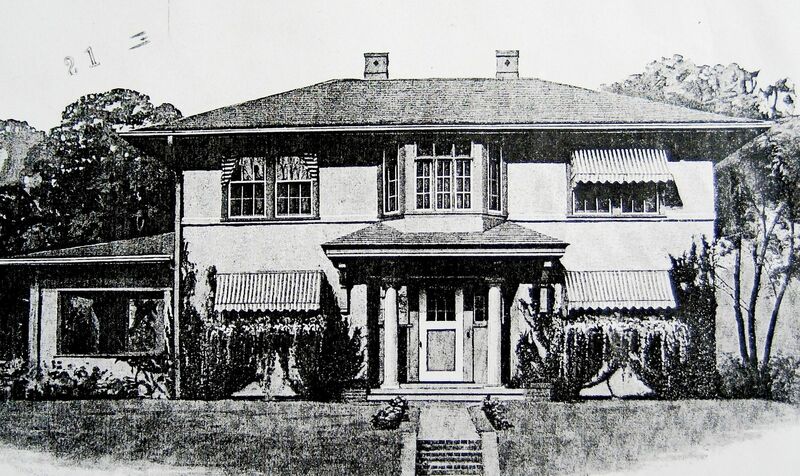 The Kenwood, as seen in the 1929 Wardway catalog. As with the Cranford and the Devonshire, the Kenwood was exclusively a Wardway home (milled, manufactured and shipped by Gordon Van Tine). Is this a Wardway Kenwood? Most likely it is, but the inset door is not a spot-on match. 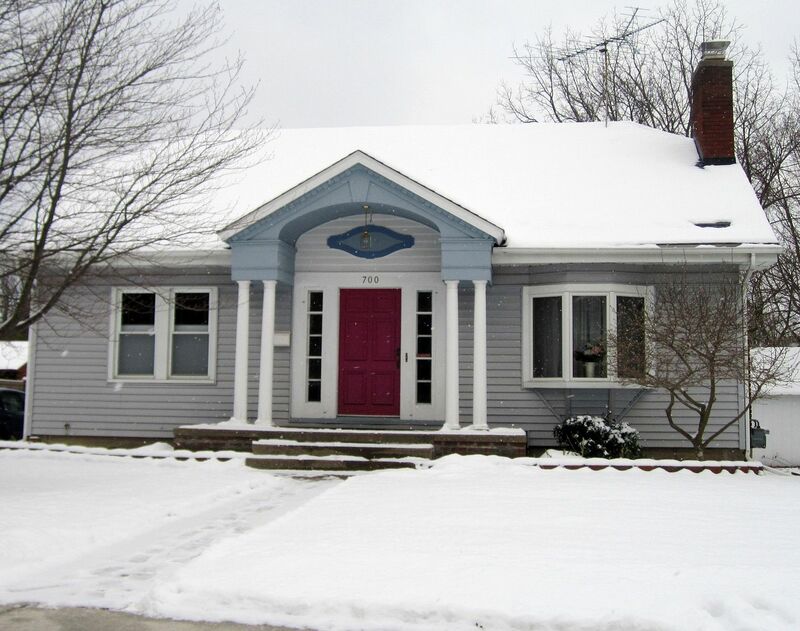 However, this house has had a substitute siding installed, and the door may have been squared off to accommodate the replacement siding. Photo is copyright 2012 Andrew and Wendy Mutch and may not be used or reproduced without written permission. 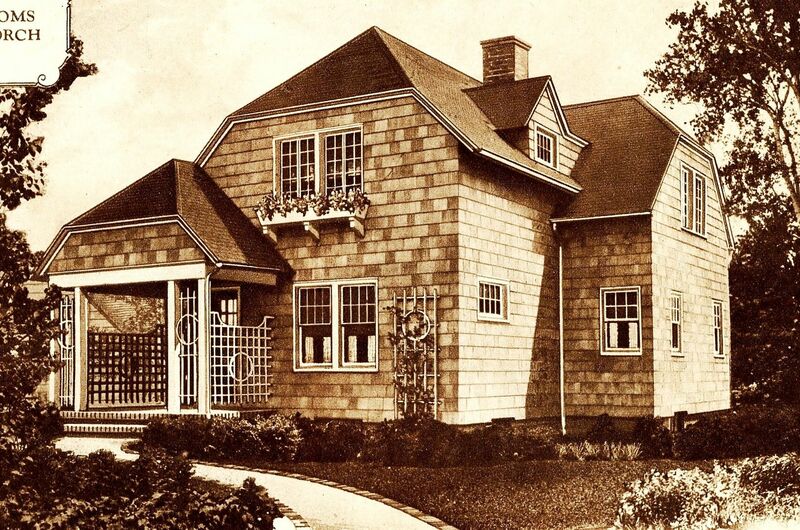 Perhaps Wardway's most popular house, the Priscilla was pretty and practical (1929). And here's a fine example of the pretty, pretty Priscilla! Photo is copyright 2012 Andrew and Wendy Mutch and may not be used or reproduced without written permission. Last but not least is Lewis Manufacturing. They were based in Bay City, so it's not surprising to find a kit home from Lewis there in Ann Arbor. 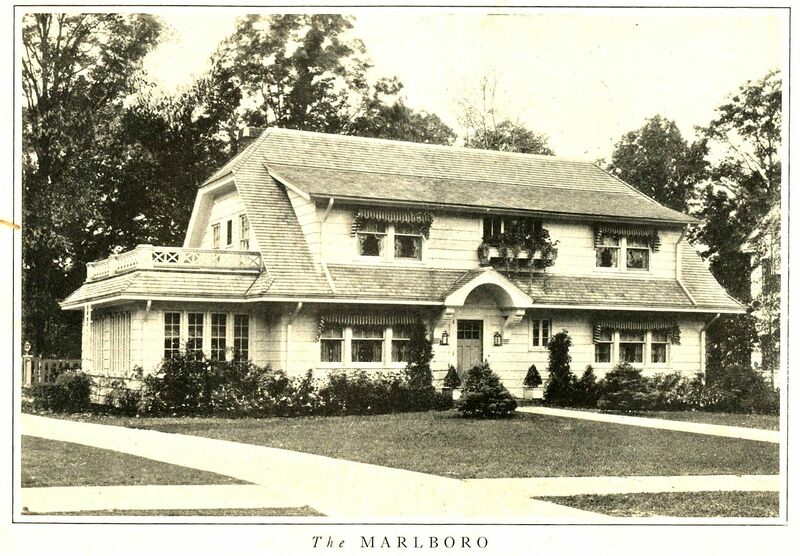 The Marlboro was a very popular house for them, and for good reason. It was a real beauty, and a big house! Ann Arbor's very own Marlboro. Sounds a bit poetic, doesn't it? 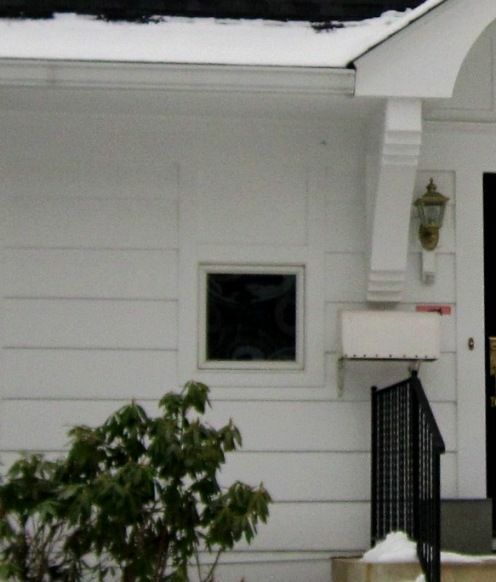 The offset front door and the tiny closet window beside it are classic defining features of the Marlboro. Photo is copyright 2012 Andrew and Wendy Mutch and may not be used or reproduced without written permission. That little closet window is still in place, but it's been partially closed up. Photo is copyright 2012 Andrew and Wendy Mutch and may not be used or reproduced without written permission. Teddy loves learning about kit homes. 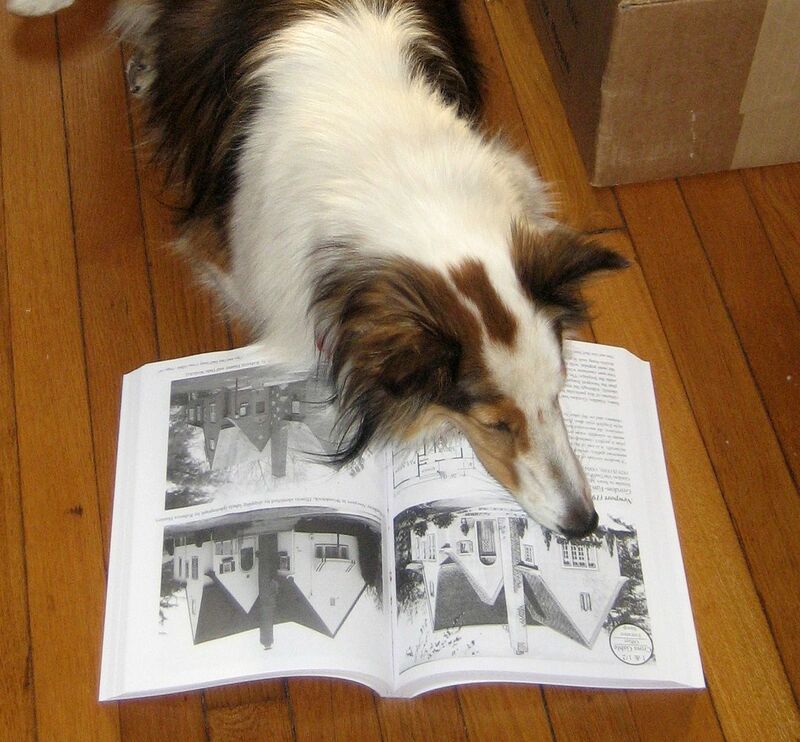 She spends much of her spare time reading "The Mail-Order Homes of Montgomery Ward," and thanks to her tireless studying, she can be a great help when we're out hunting for kit homes. She's not called "Teddy the Wonder Dog" for nothing! 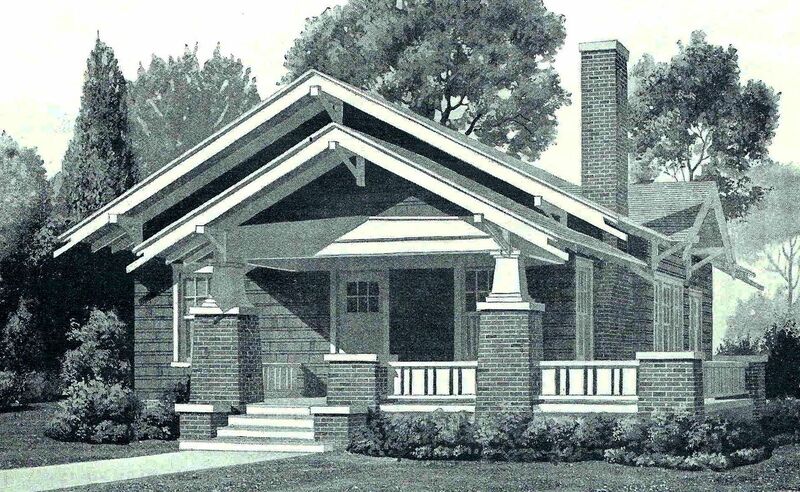 To order your own copy of the “The Mail Order Homes of Montgomery Ward” click here. 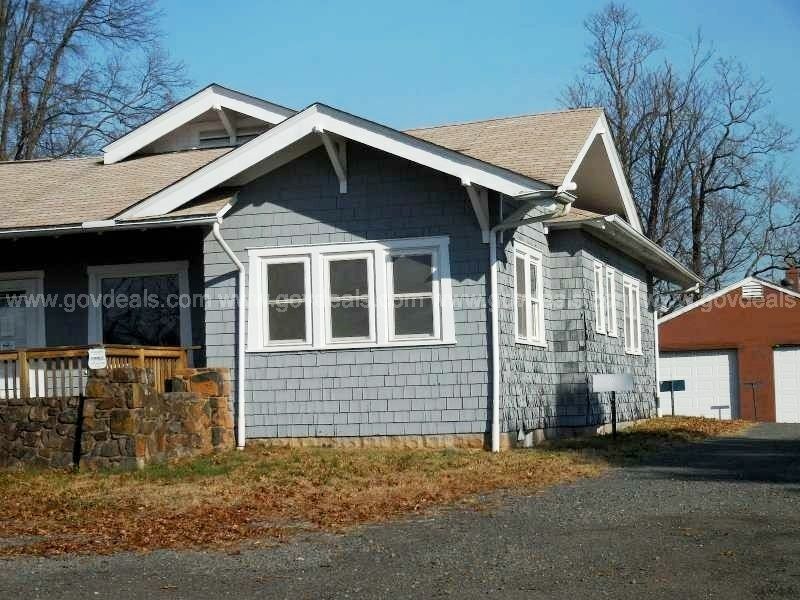 So Many Kit Homes in Staunton, Virginia! 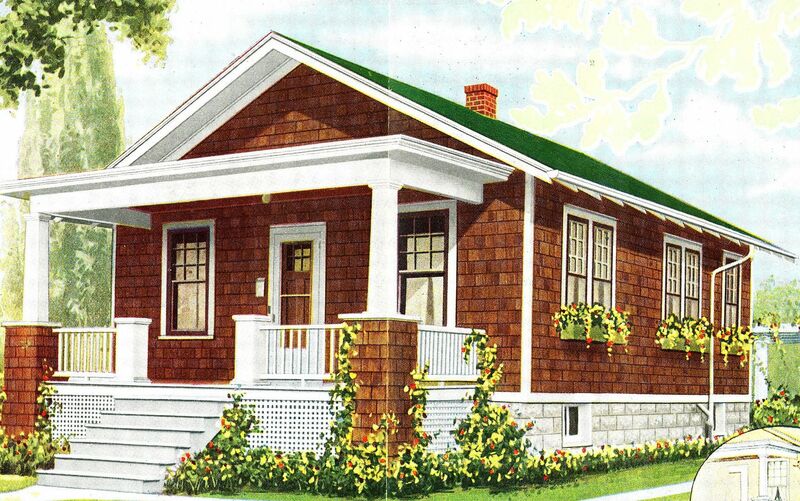 Rose is returning to Staunton May 2nd to give a talk on Sears Homes! 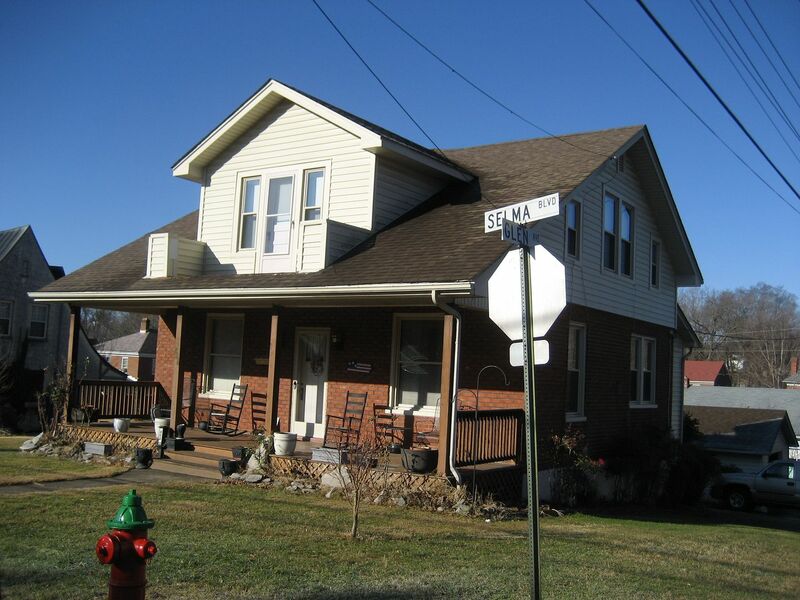 In 2005, I stopped for a short visit in Staunton, Virginia and during that short visit, I spotted a beautiful Sears House overlooking Gypsy Hill Park. To my chagrin, I did not have my camera with me. That was eight years ago. I’ve waited all these many years to get back to Staunton and take a photo of that wonderful old Sears House overlooking the park. Thursday morning, I finally got my chance! And I must say, it was worth the wait. In addition to the house overlooking the park, I also drove around town a bit to see what else I could find. And I found quite a few interesting kit homes. 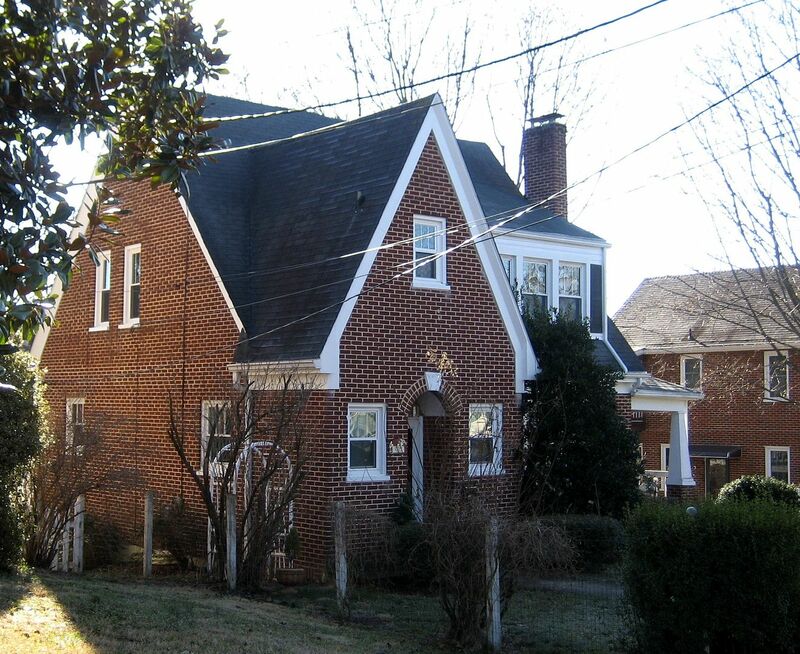 Neither my husband nor myself know anything about Staunton, so we stumbled around a bit, trying to find the right neighborhoods (1920s/1930s housing within 1-2 miles of railroad tracks). I’d love to return to Staunton when I can find a Staunton native who’d be willing to help a flatlander tourist do a proper architectural survey of all the best early 20th Century neighborhoods. Because - I am confident that this historic mountain town has many more kit homes. Below I’ve featured just a few that we found driving through two small neighborhoods! 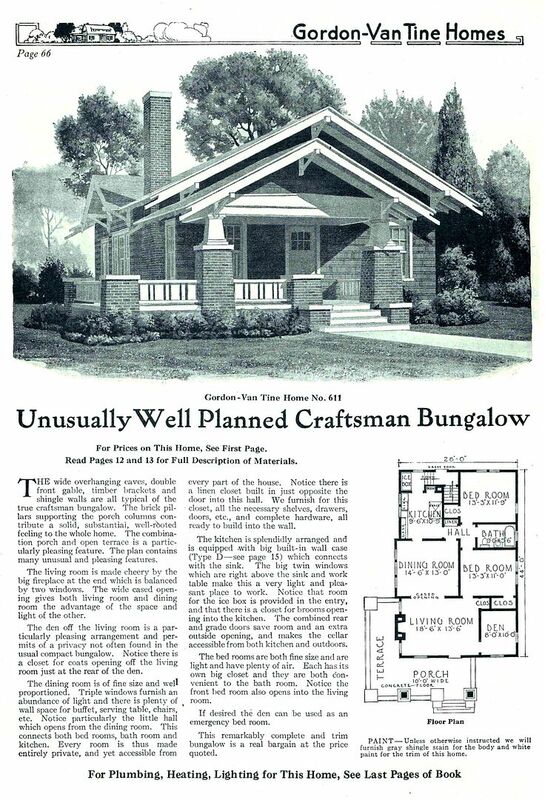 In fact, Sears promised that you could have a house assembled and ready for occupancy in 90 days! 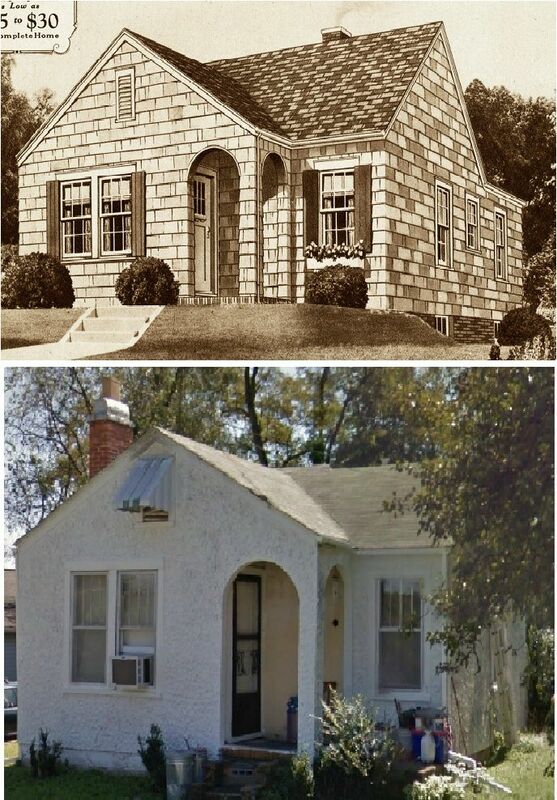 When Sears closed their “Modern Homes” department in 1940, all sales records were destroyed, so the only way to find these homes in one by one. In fact, based on my 12 years of experience, more than 90% of the people living in these homes didn’t realize what they had until I knocked on their door and told them. This is a piece of American history that is at great risk of being lost, which is why I travel all over the country, take photos and maintain this blog. And on a side note, I had a terrible time getting good photos. Almost without exception, these houses were facing west, so my early morning photos were snapped looking right into the rising sun, creating a really poor photo. Alas! 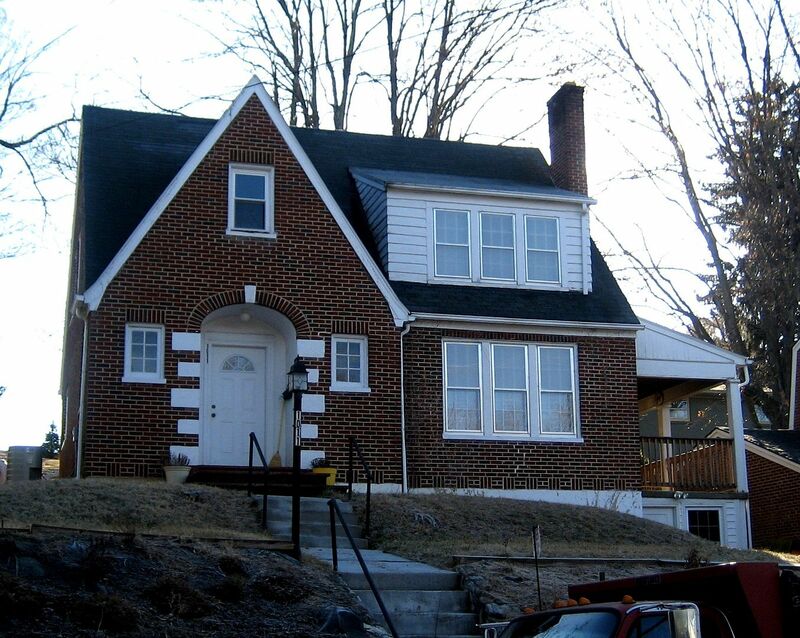 To learn more about the kit homes in Staunton, please scroll on down! 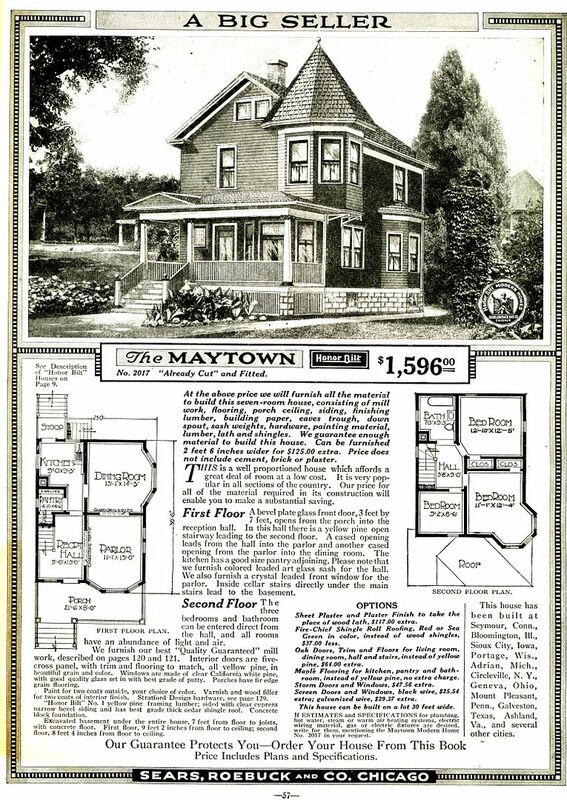 The Sears Maytown as seen in the 1919 catalog. 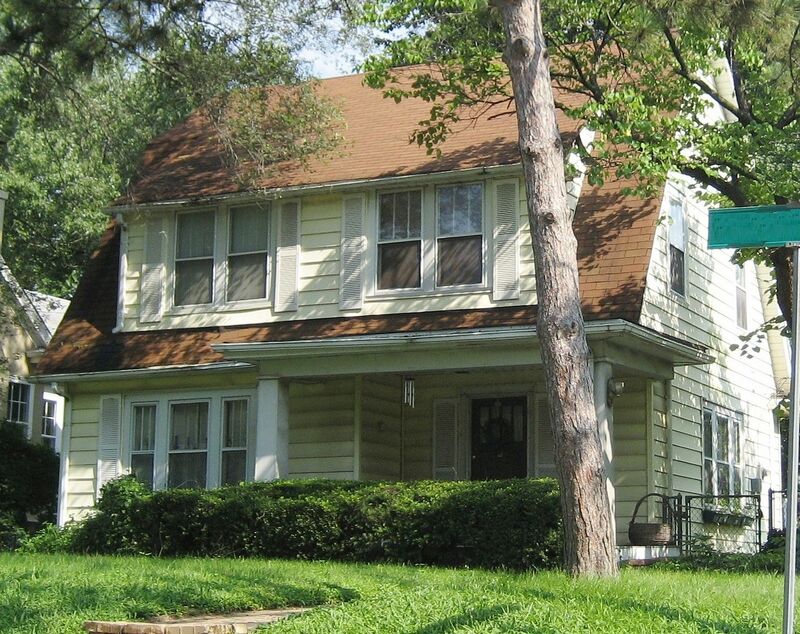 This is the Sears House that overlooks Gypsy Hill Park. It's a beautiful Maytown. Do the owners know that they have a Sears Home? More than 90% of the Sears Homeowners I've encountered do NOT realize they're living in a kit home from Sears. 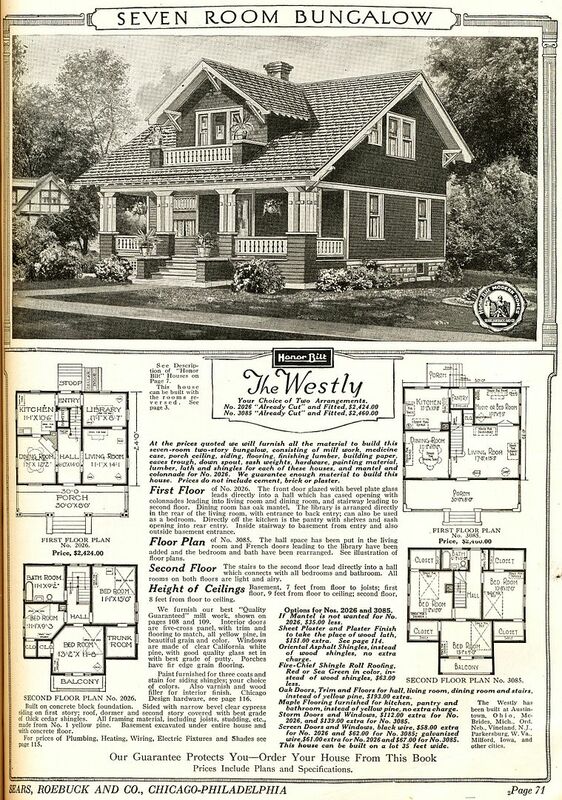 The Sears Westly, from the 1921 Modern Homes catalog. This Westly in Staunton has seen a few changes, but it's still easily identifiable as a Westly. 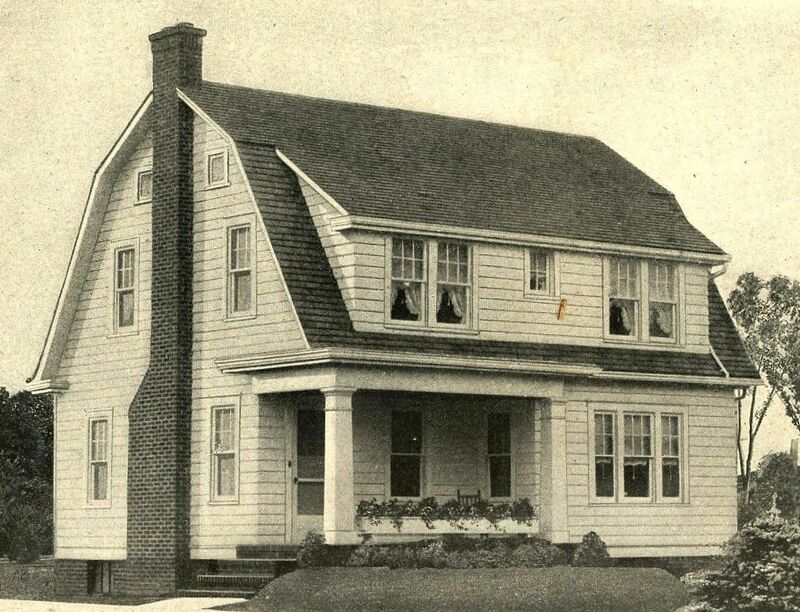 The Sears Lynnhaven was a popular house for Sears (1938). And the Lynnhaven is all over Staunton. I found FIVE Lynnhavens in Staunton which was quite a surprise. 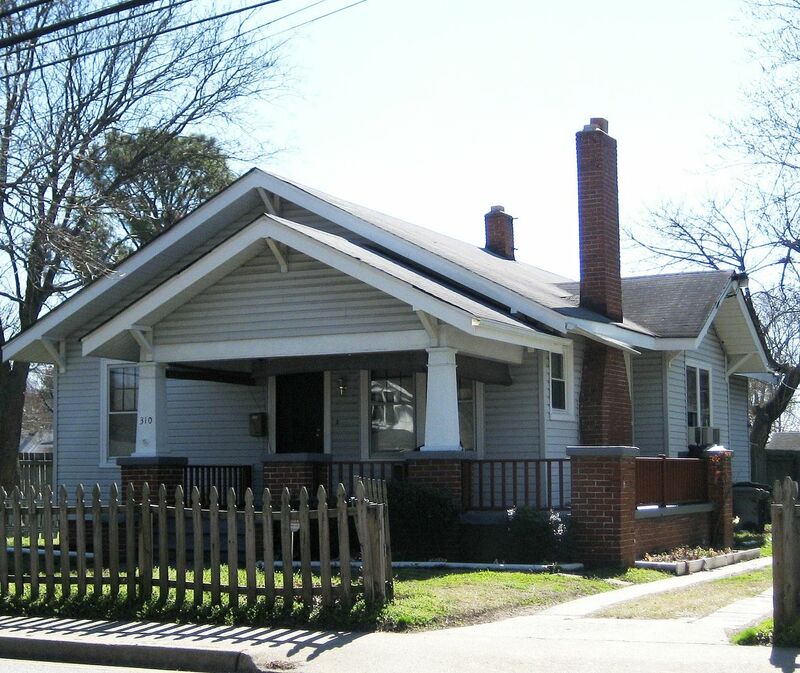 This Lynnhaven is on N. Augusta Street, and a few hundred feet away - just across the street - is another Lynnhaven that's being used a business. The front door has been closed up, which doesn't look too attractive. 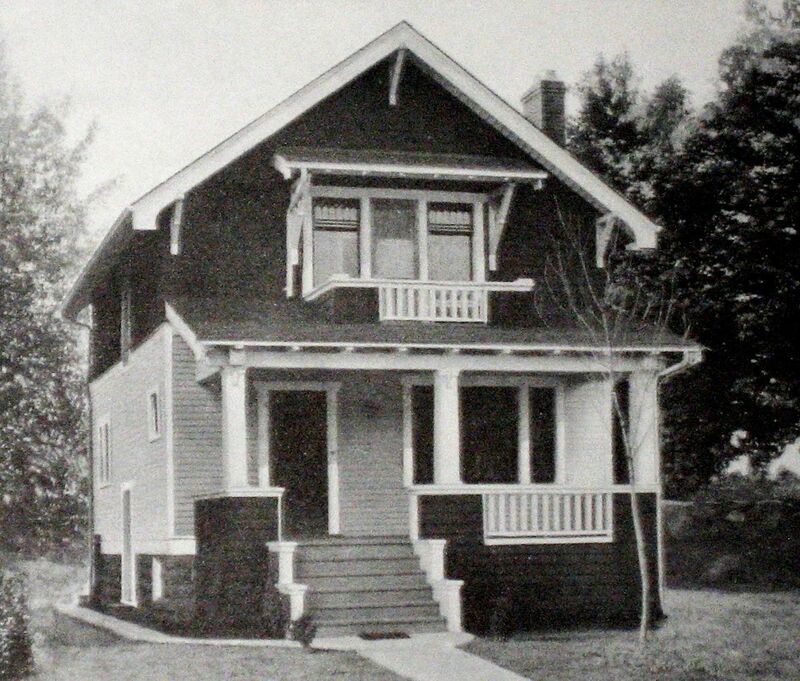 The house above was at the corner of Belmont and Augusta. 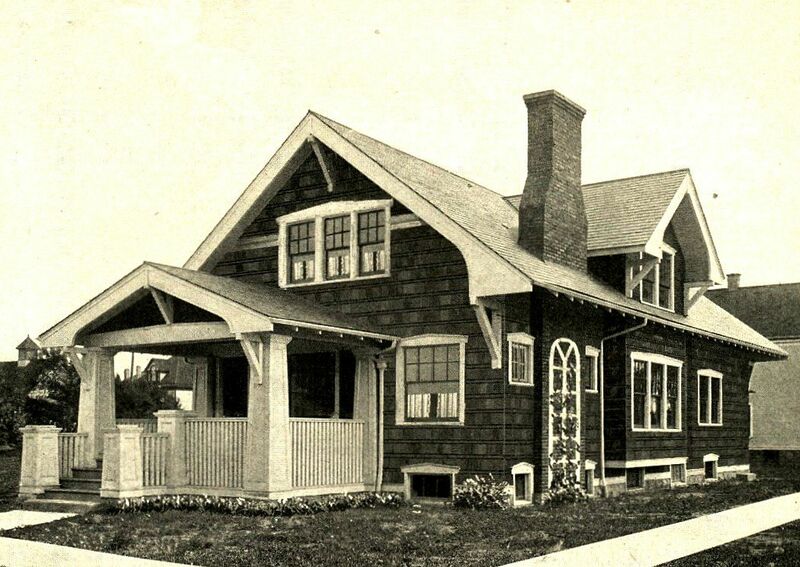 The Lynnhaven (a very popular house for Sears in general and Staunton in particular) was also known as "The Belmont." 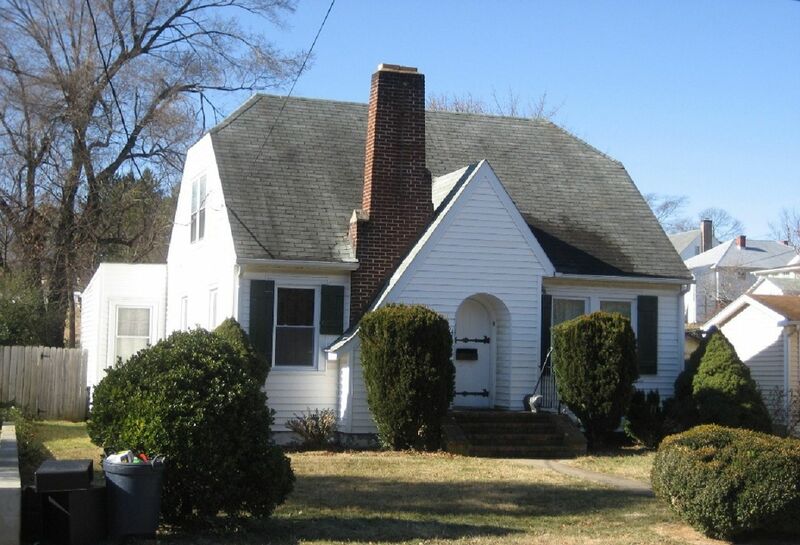 This Lynnhaven has a slightly altered dormer (more wide than most). Is it still a Lynnhaven? I'm just not sure on this one. 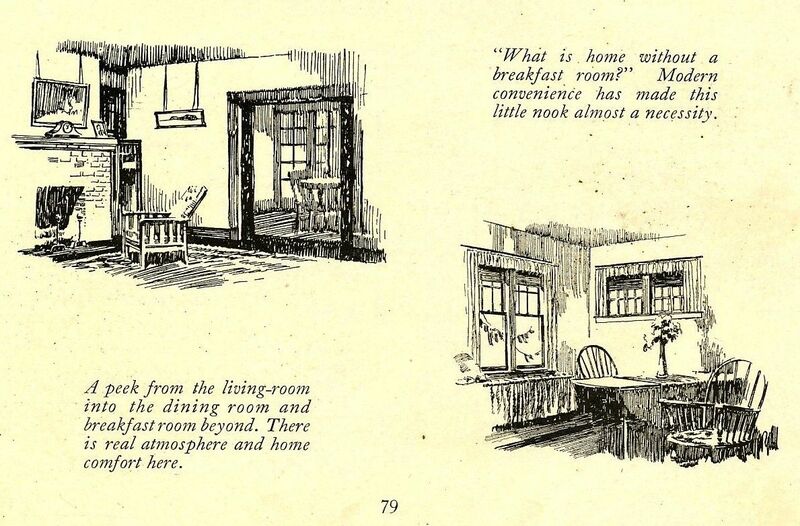 It's hard to be 100% certain without seeing the home's interior. 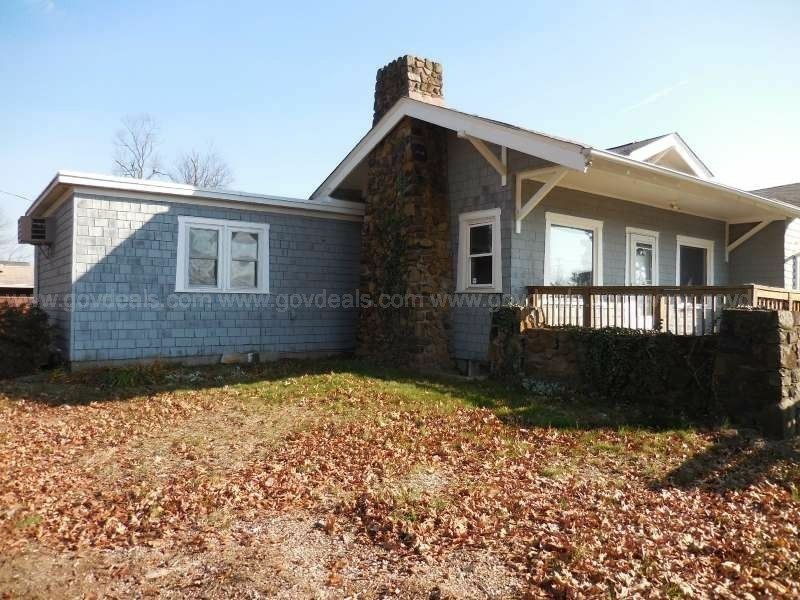 The Lynnhaven has a handful of unique features, and this house possesses most of those "unique features." Another Lynnhaven? 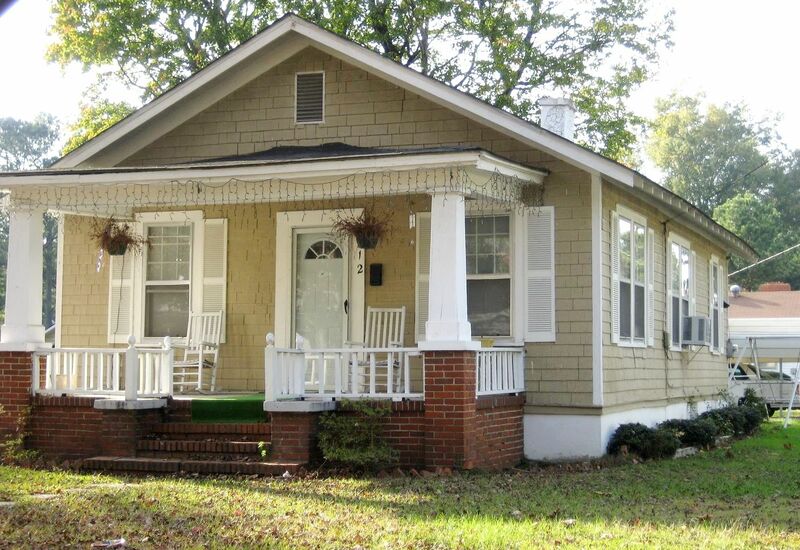 Did one builder buy a kit Lynnhaven from Sears in 1930 and build several of these houses from one set of blueprints? 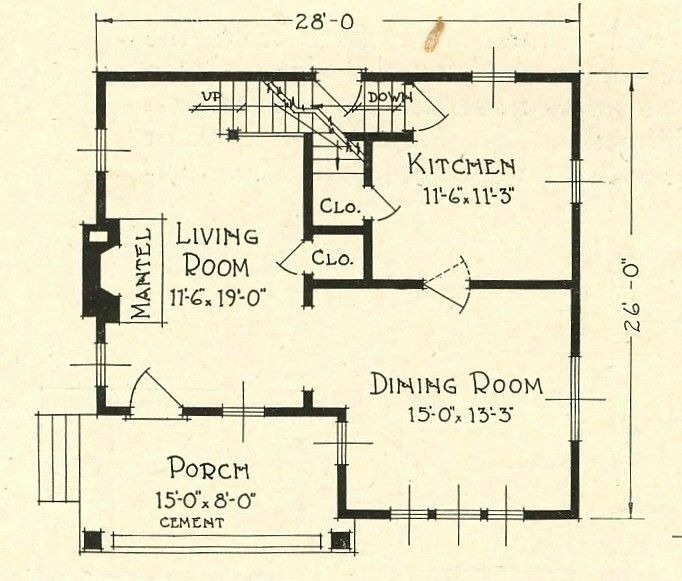 Very possible, as this was often done with Sears Homes. 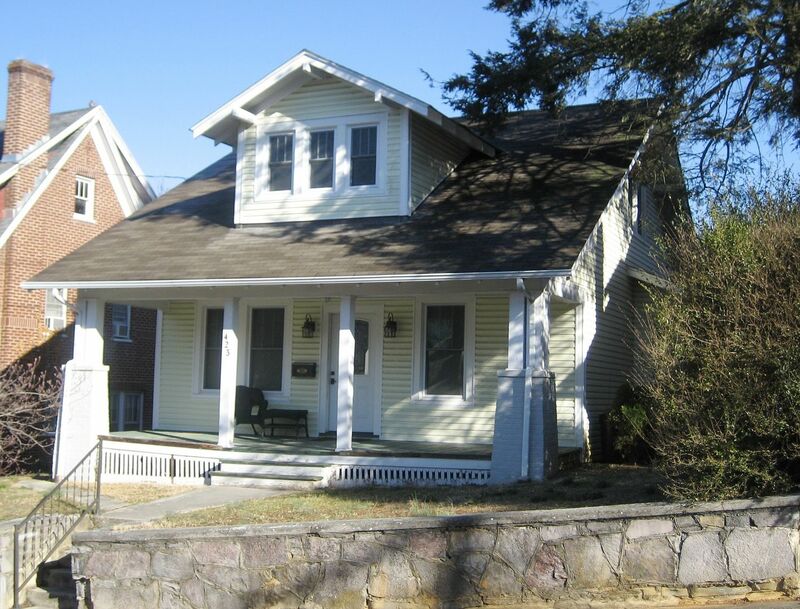 And yet another Lynnhaven in Staunton. Are these all the real deal? Again, no way to know without an interior inspection, but my first impression is YES. Is this a real Lynnhaven? The front gable looks a little wider than the other houses. 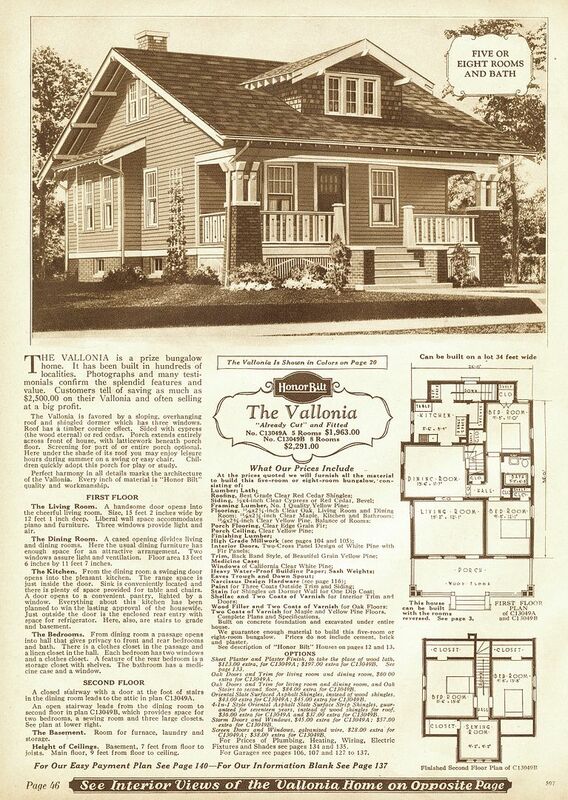 Sears Vallonia as seen in the 1928 catalog. 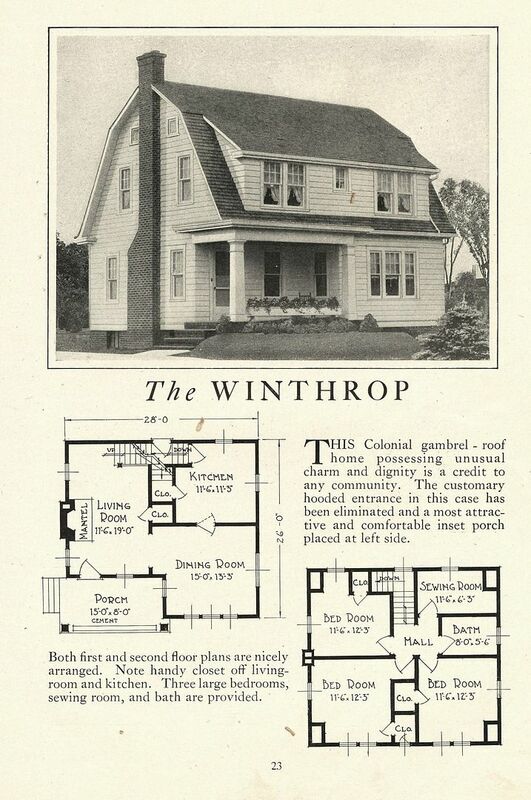 In addition to Sears, there were other companies selling kit homes, such as Gordon Van Tine and Montgomery Ward. 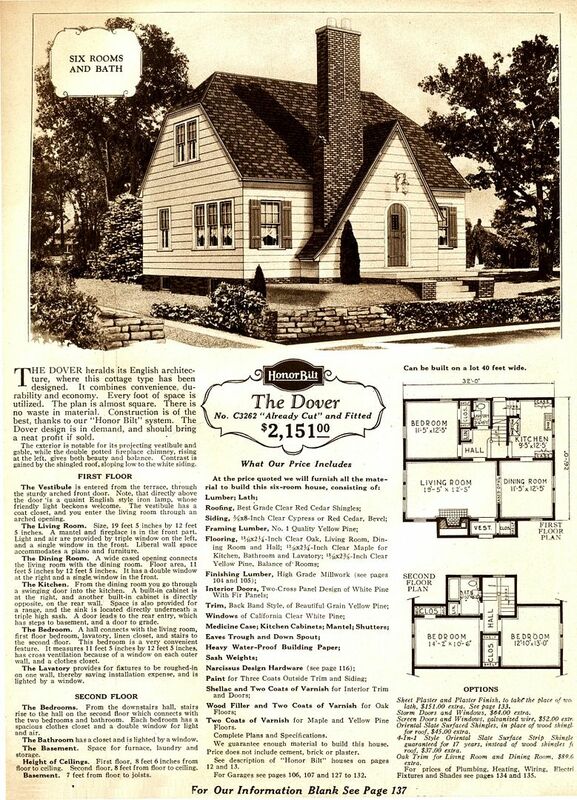 Montgomery Ward did not have a "Modern Homes Department" (as Sears did). Montgomery Ward turned all orders over to Gordon Van Tine for fulfillment. So a Wardway House is a Gordon Van Tine house. 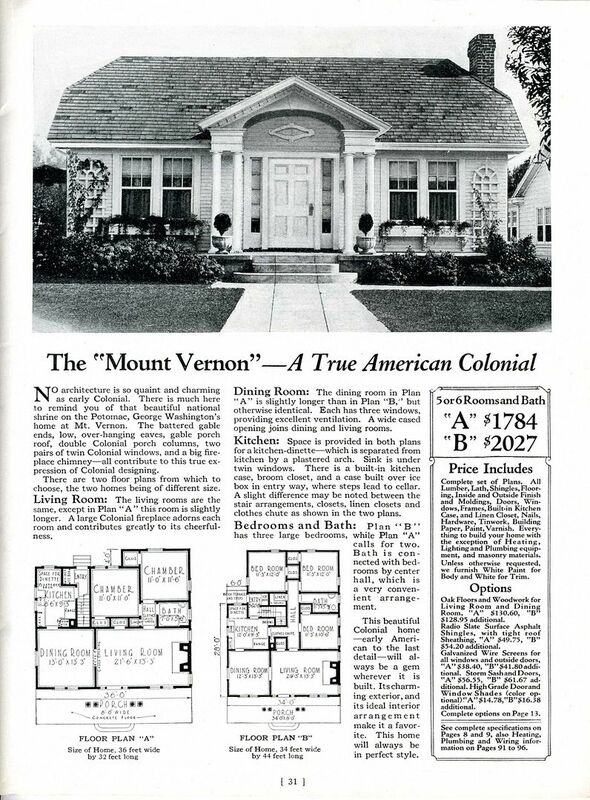 The Mount Vernon (shown above) was a popular house for Wards (1927). 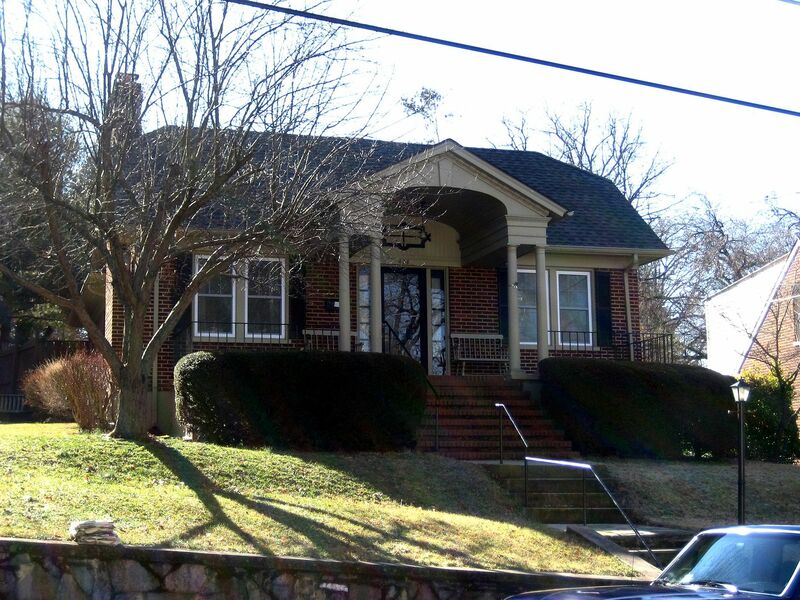 And here's a perfect example of the Mount Vernon in Staunton, Virginia. 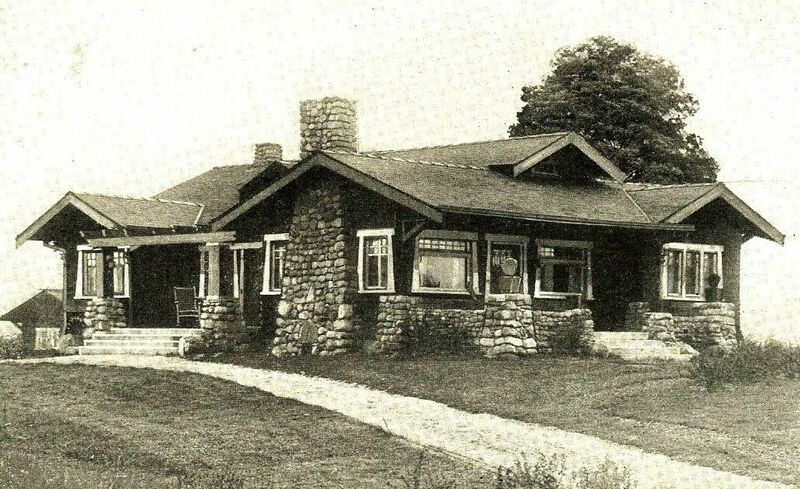 The Wardway Kenwood was another popular Wardway Home (1930). And this appears to be a Kenwood! 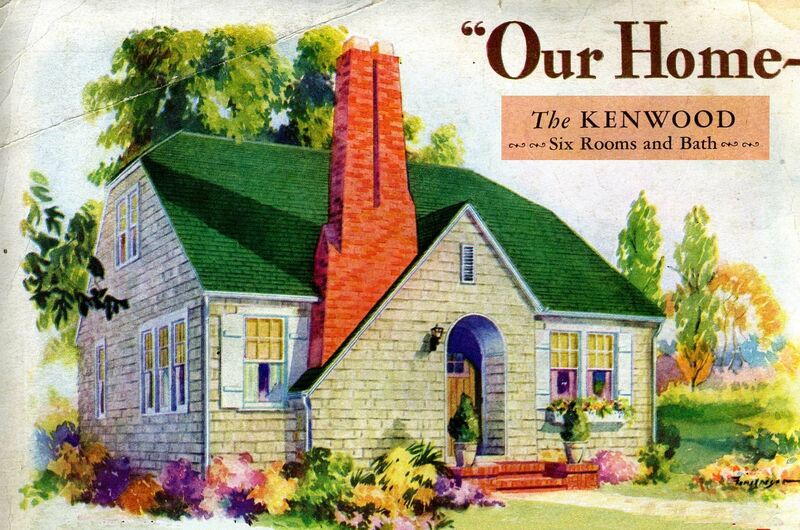 In addition to Sears, there was also a kit home company known as Lewis Manufacturing. 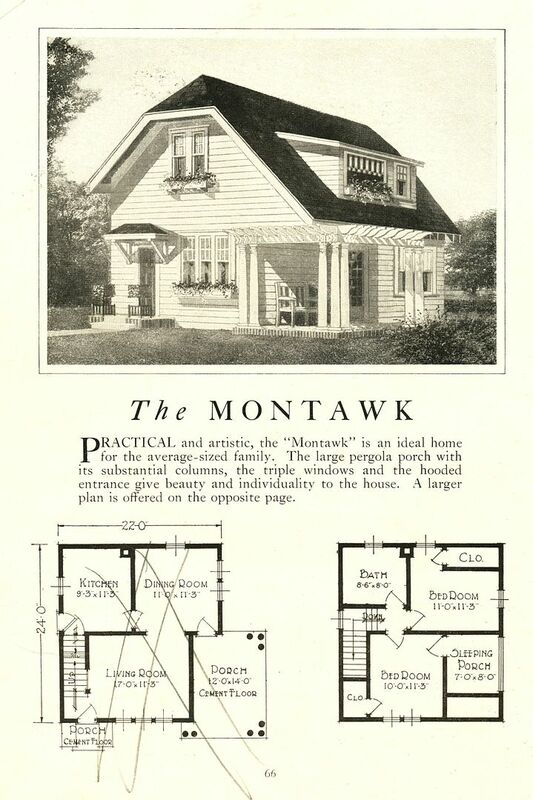 Shown above is one of their most popular homes, The Montawk (1920 catalog). Is this a Lewis Montawk? Probably. Maybe! 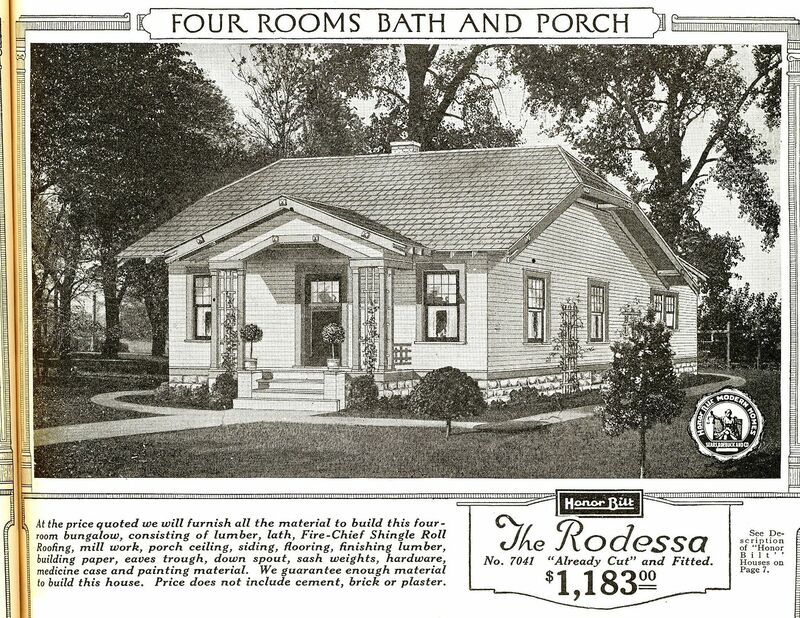 "The Roberts" (shown here and on the cover of the 1916 catalog) was one of their most popular models. It was spacious, grand and priced at under $1,300. It's another really poor photo, but this shows a beautiful "Roberts" on Augusta Avenue in Staunton, VA. The house is in stunningly beautiful (and original) condition. I saved the best for last. Aladdin was a bigger kit home company that Sears, but not as well known. Aladdin is more prevalent in Virginia, because there was a large mill in North Carolina. 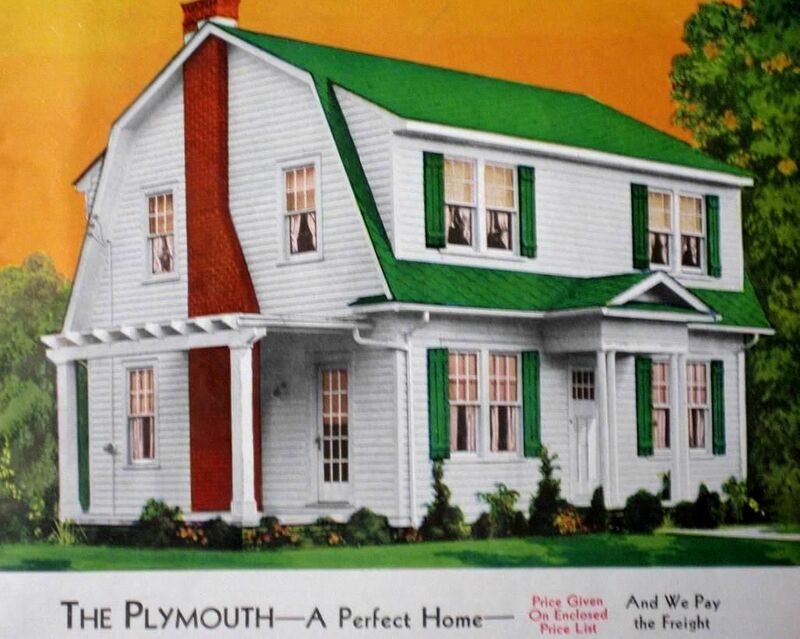 Shown above is the Aladdin Plymouth - a "perfect home." 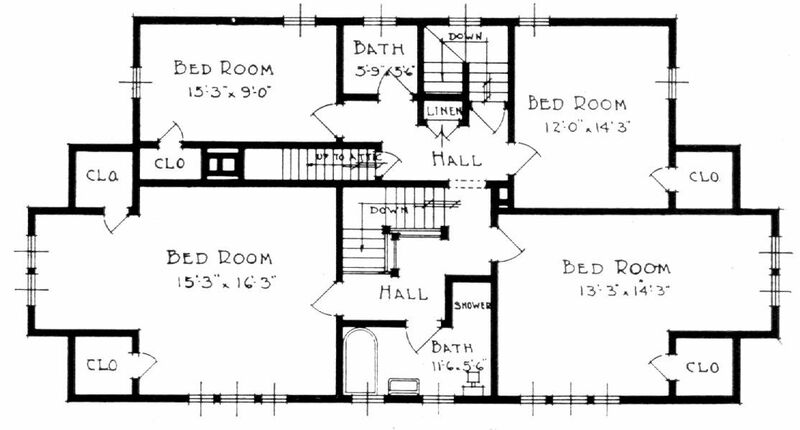 And this is not a "kit home" but a plan-book house. These were quite common in the 1920s and 1930s. 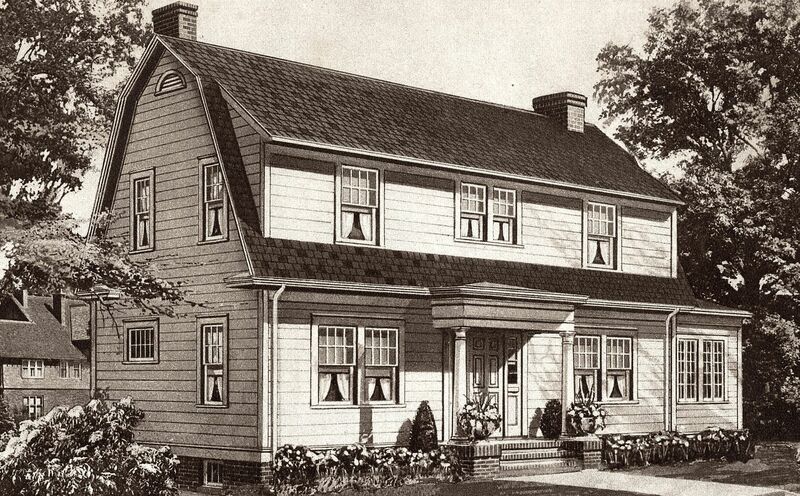 This model was "The Mayfield," (offered in a plan book titled, "Harris, McHenry and Baker"). This "Mayfield" is in wonderful condition. Whilst "driving" through Staunton (via Google Maps), I found another kit home, The Cordova (Wardway/GVT) on Williams Street. 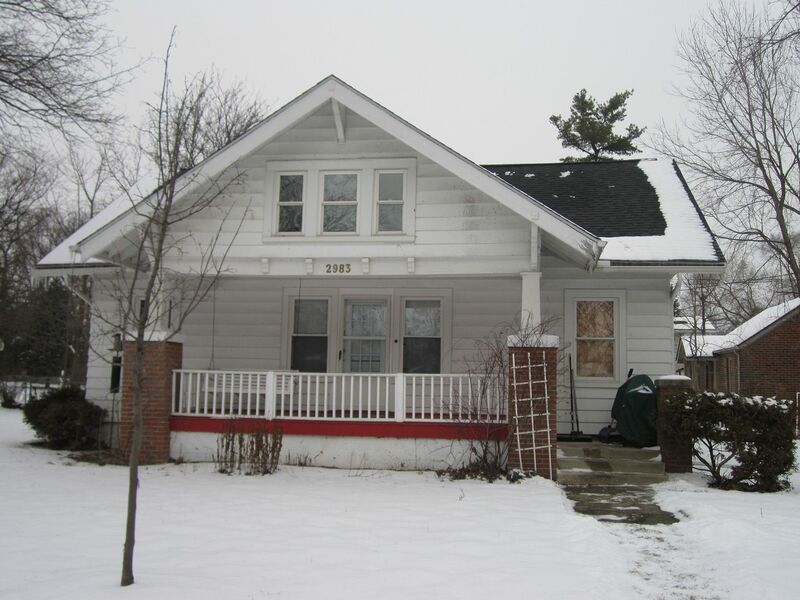 It's had some rough remodeling, but its original features are still present. What a nice match! And on Straith Street, I saw a "Genessee" found in the "Harris, McHenry and Baker Planbook" (1920s). Look down the right side, and you'll see what a nice match it is! Thanks to Sarah Puckett (who left a comment last night below), for telling me about this kit house on Route 11 in Weyer's Cave, Virginia. It's a perfect Sears "Dover" and a very nice find! Please keep those cards and letters coming!! :) BTW, I'd love to have a better photo of this "Dover"! Anyone willing to get me a picture? 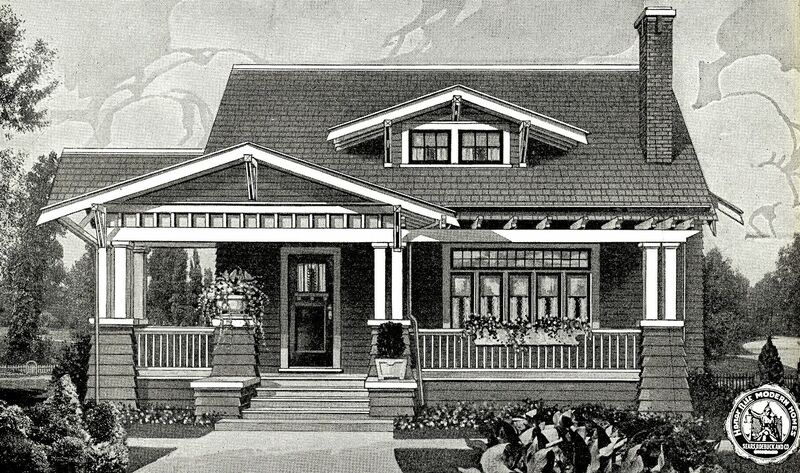 Today (2/25), I found yet another perfect little Sears House ("The Berwyn"). 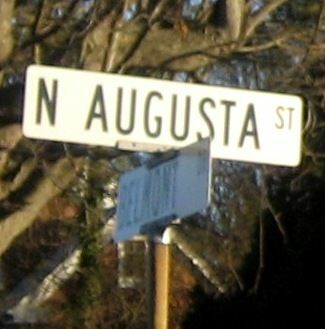 It's on Noon Avenue! 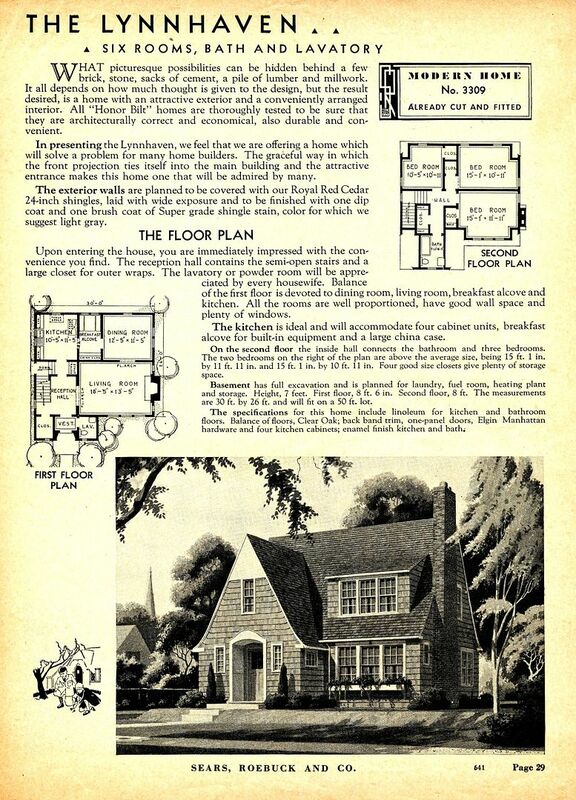 The image above is from the 1929 Sears Modern Homes catalog. 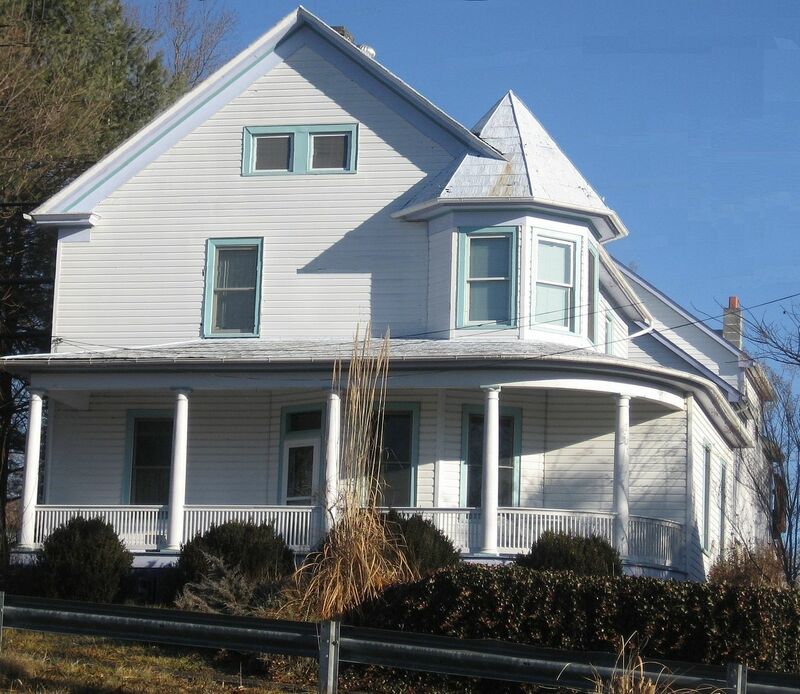 Wherefore art thou, little Stanhope in Staunton? Here's a perfect Aladdin Stanhope in Scotland Neck, NC (near Roanoke Rapids). Where is the Stanhope in Staunton? Please leave a comment below! I’d love to return to Staunton soon and do a proper survey and maybe even give a talk on this topic. Please leave a comment below if you’d like to contact me and/or learn more about these kit homes. 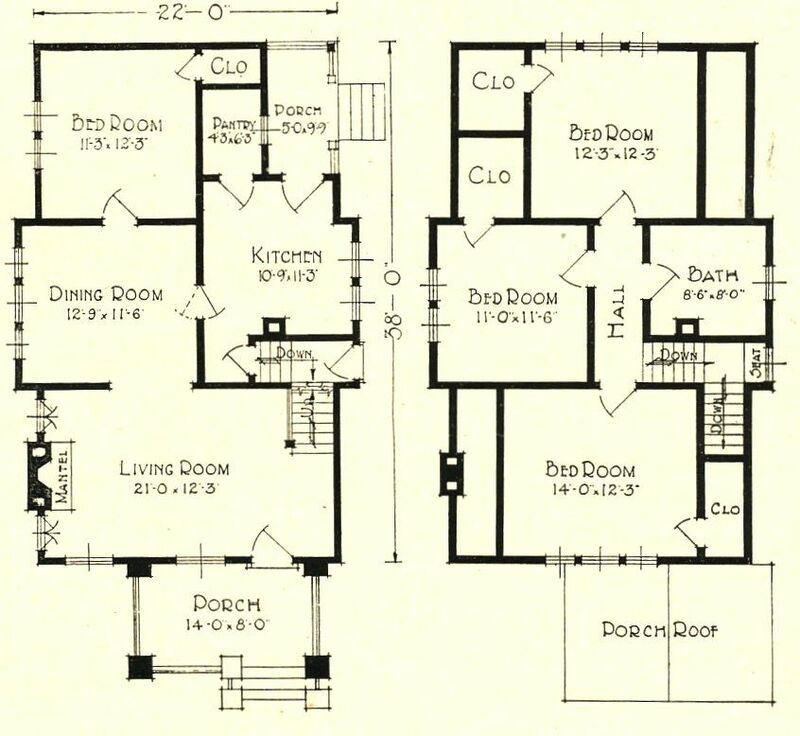 To learn more about Rose and her obsession with kit homes, click here. 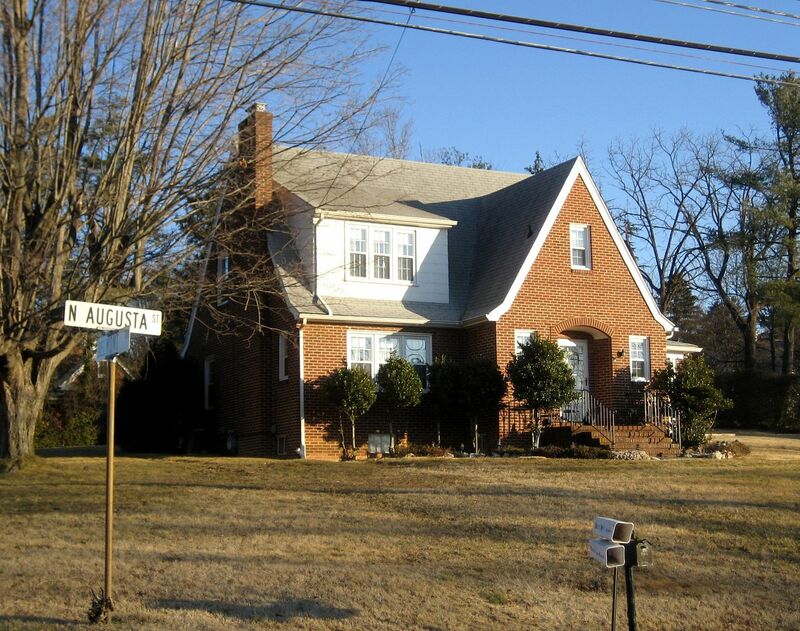 To read about the kit homes in nearby Harrisonburg, VA, click here. To see an incredible video about the importance of the Sears catalog in early America, click here (PBS Experience, 1991).